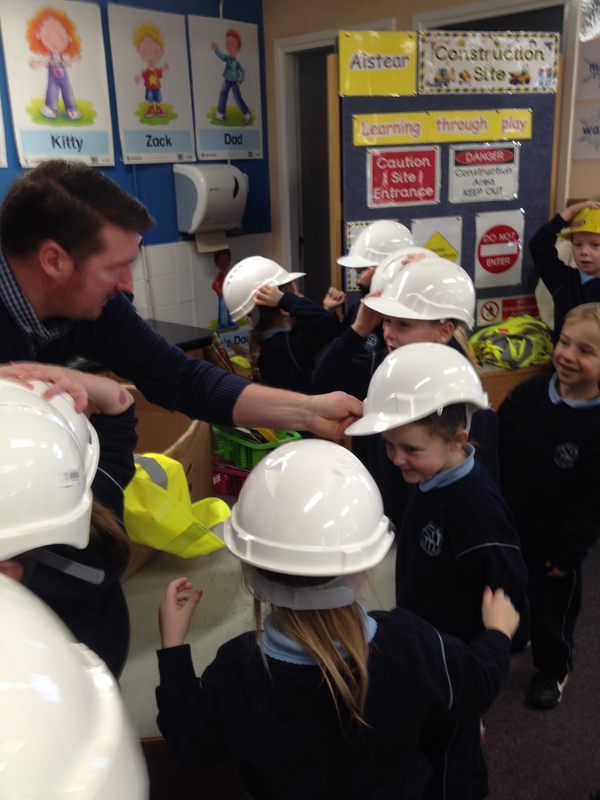 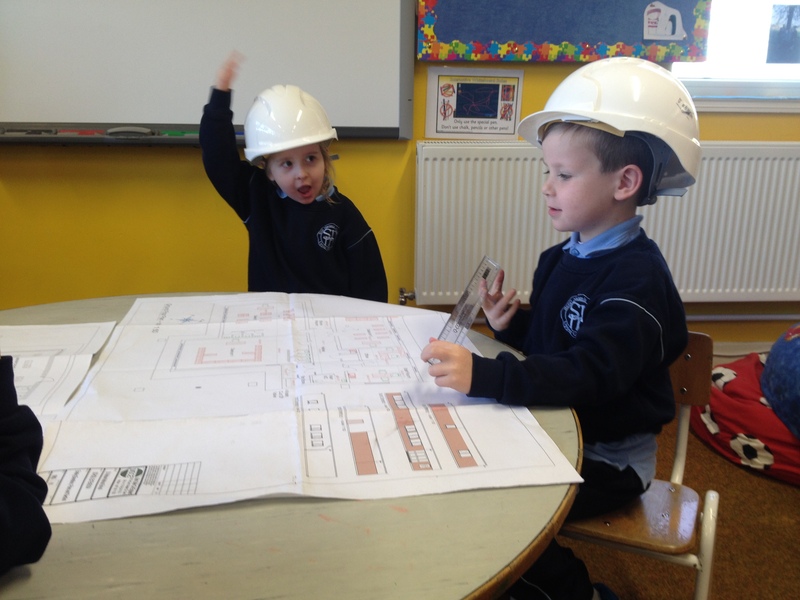 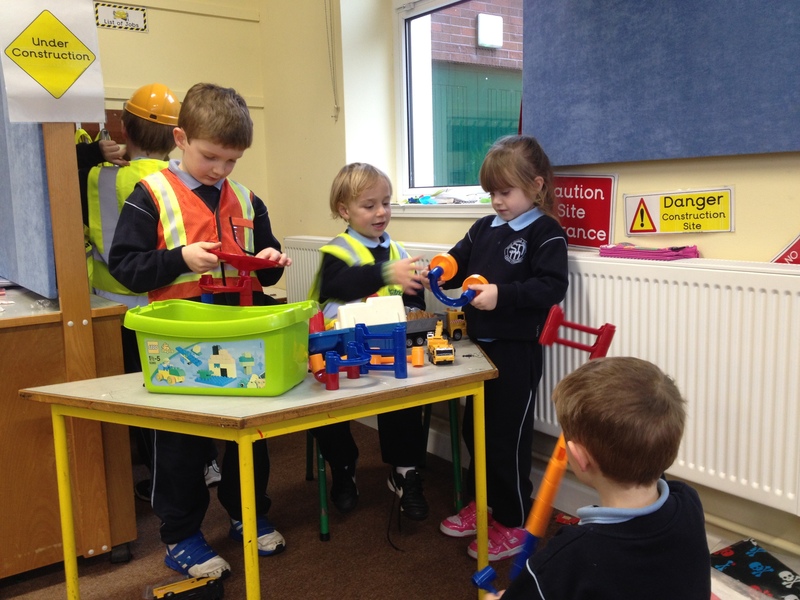 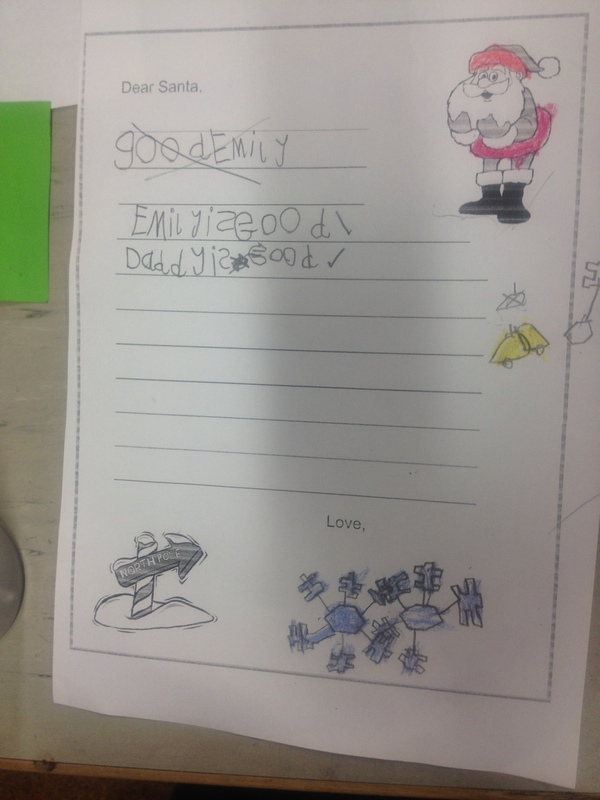 Our theme this half term is the Construction Site and there really is no recession being felt in here! 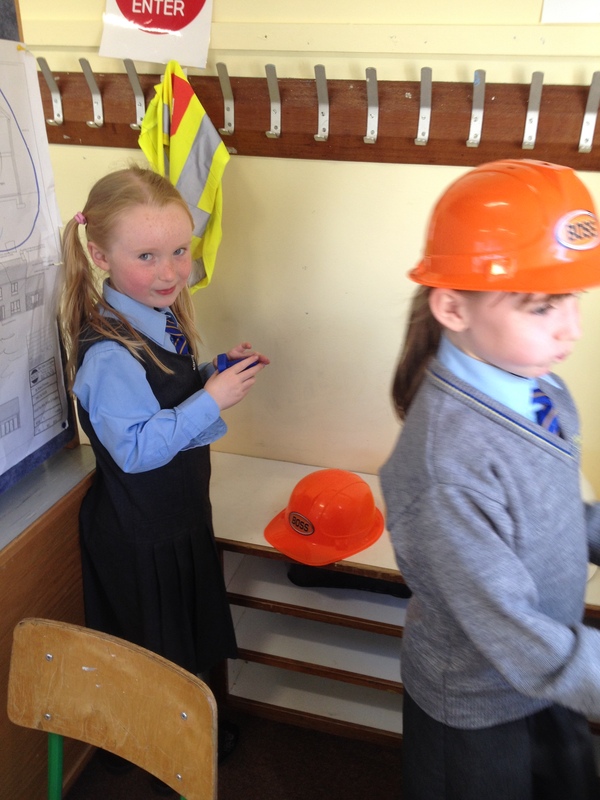 Our surveyors, foremen and forewomen, builders, painters and decorators are hard at work 5 days a week! 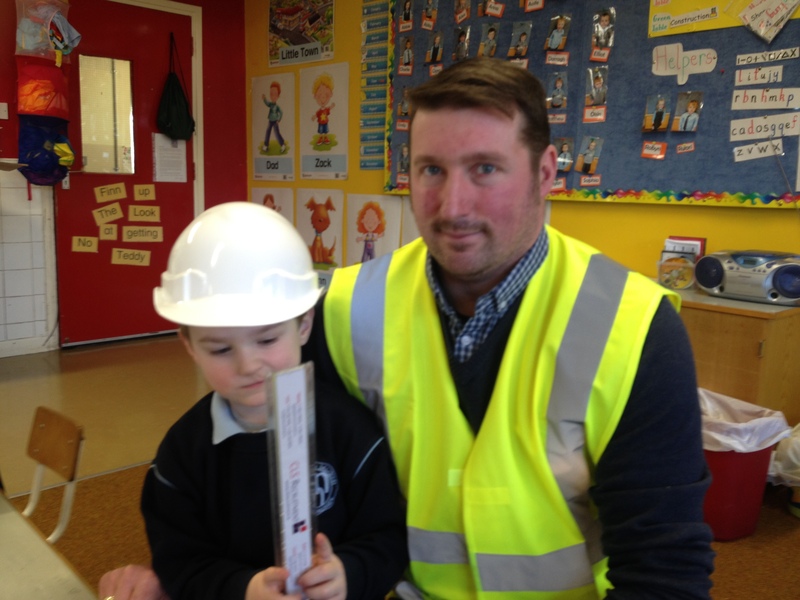 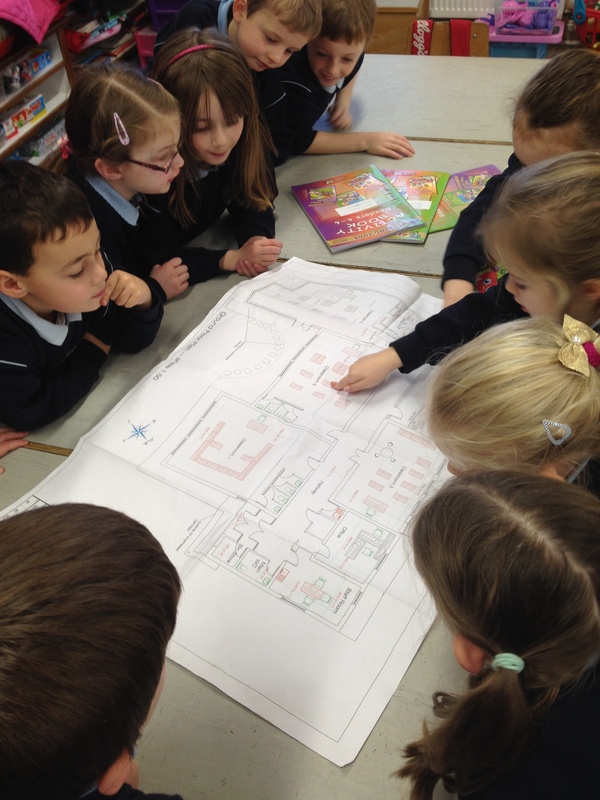 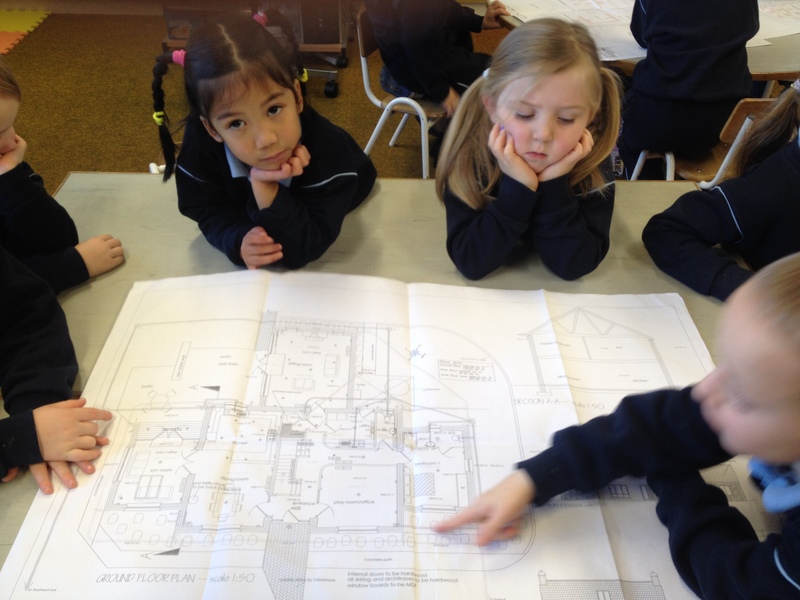 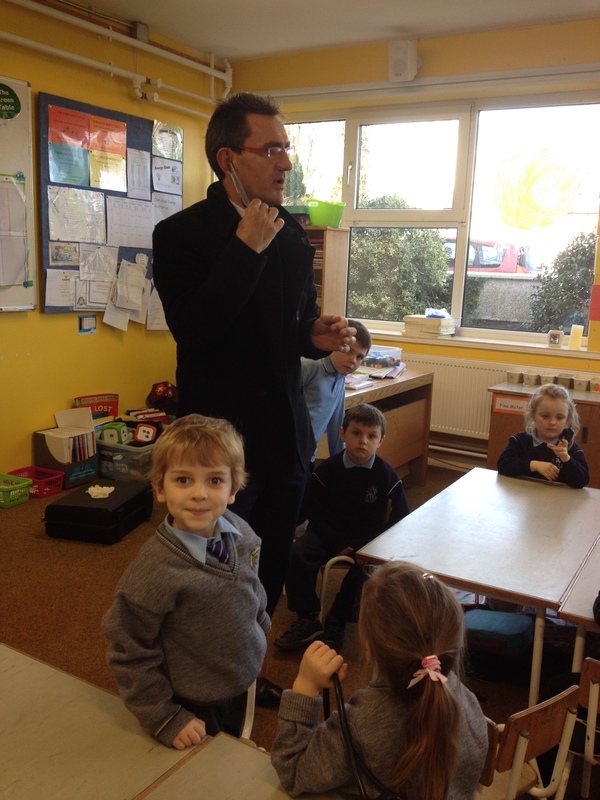 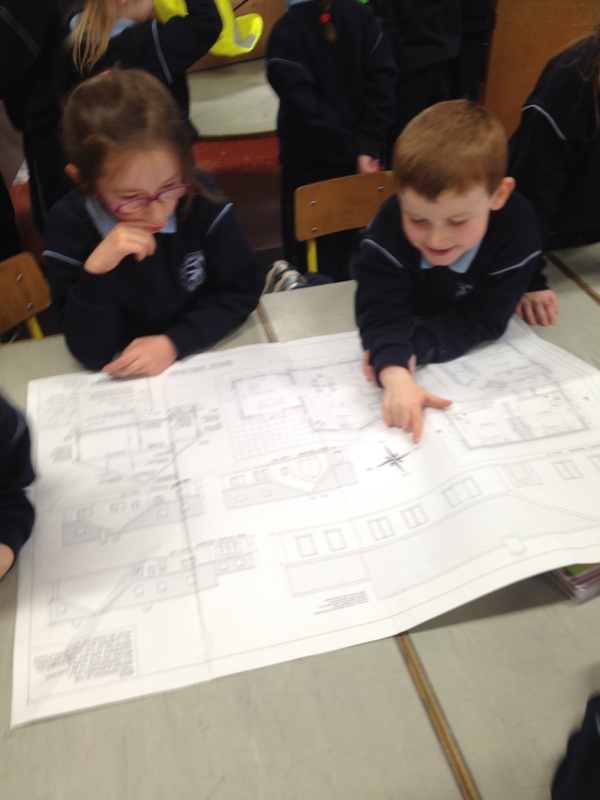 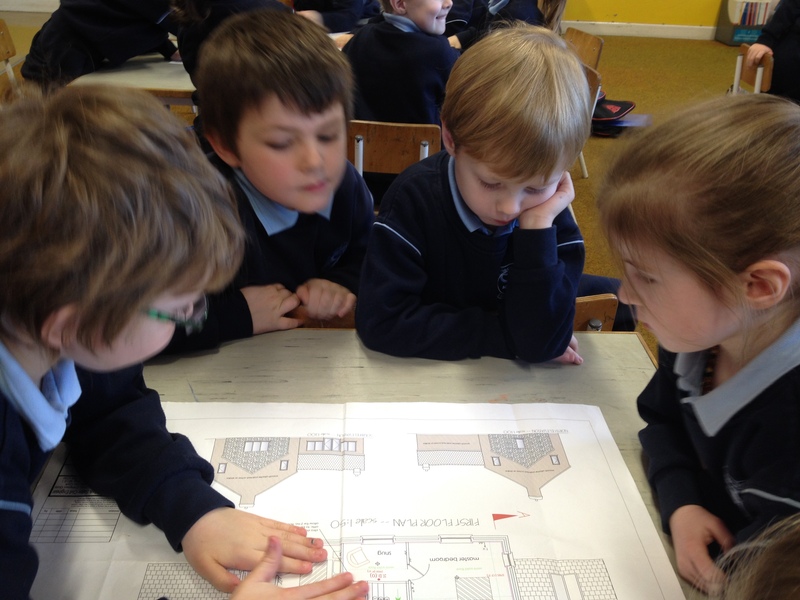 We listened closely to Luke’s Dad who is a builder and are trying our best to follow his plans – let’s hope our houses turn out well built! 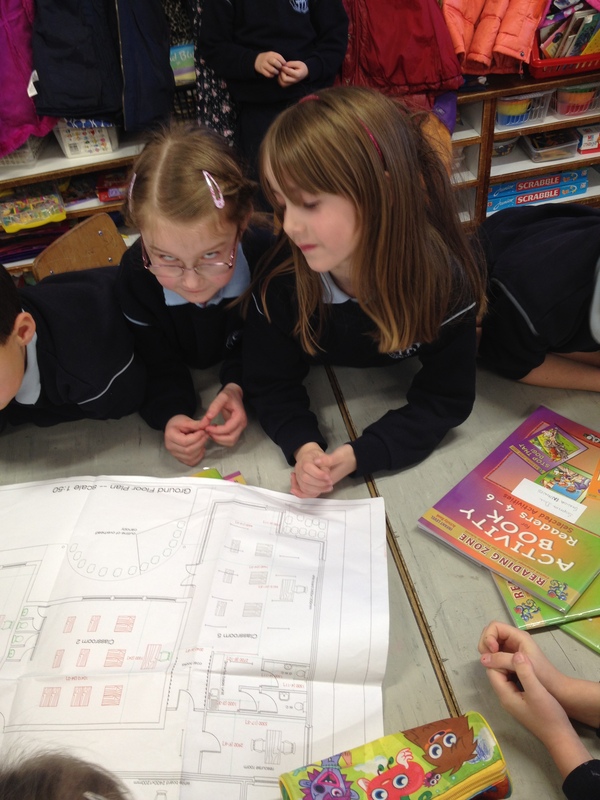 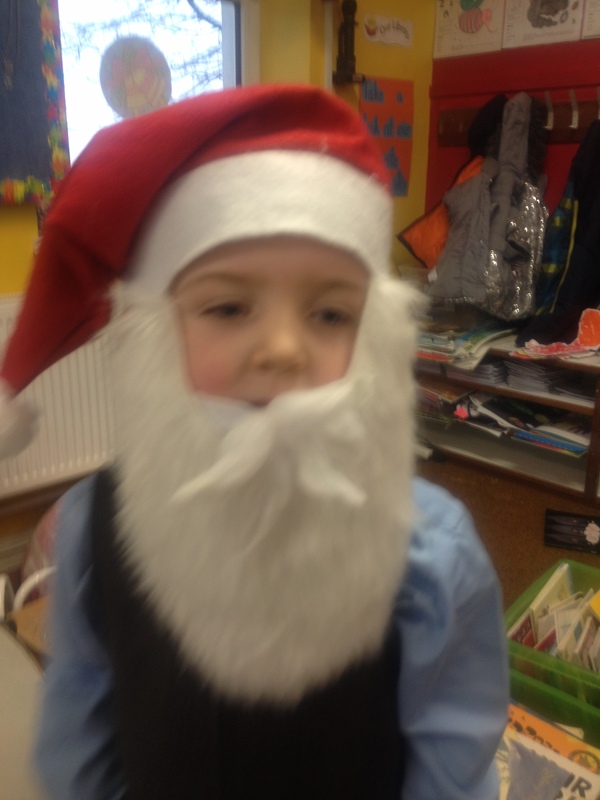 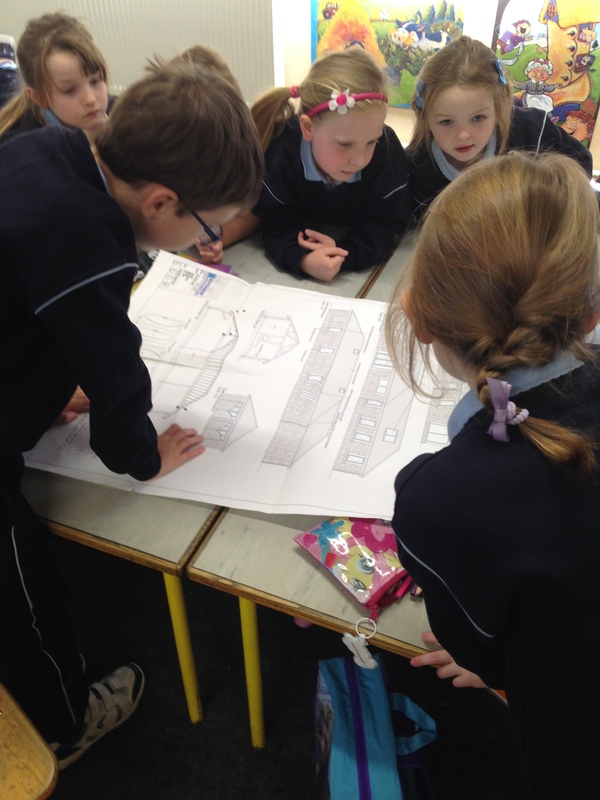 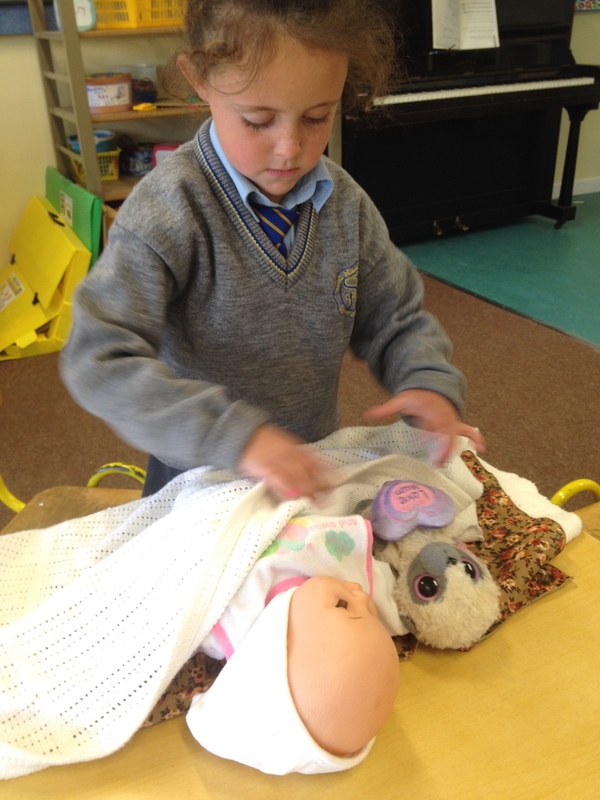 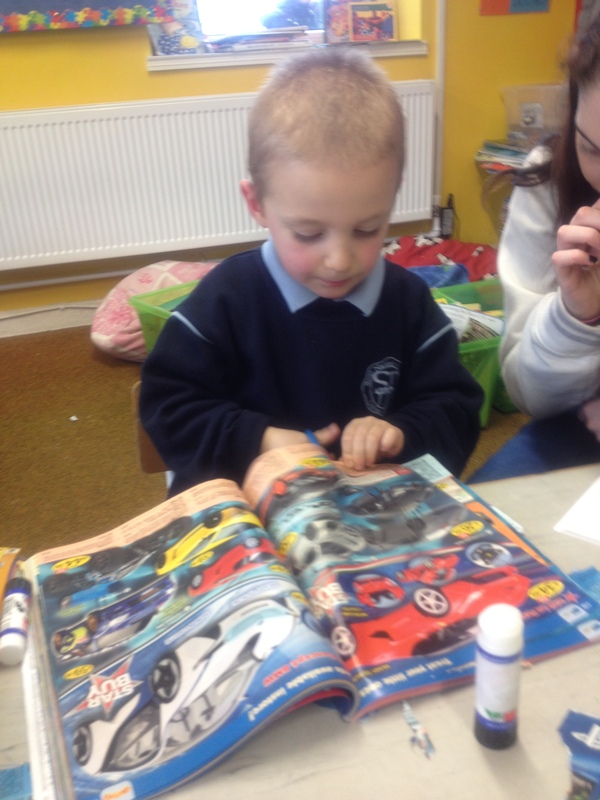 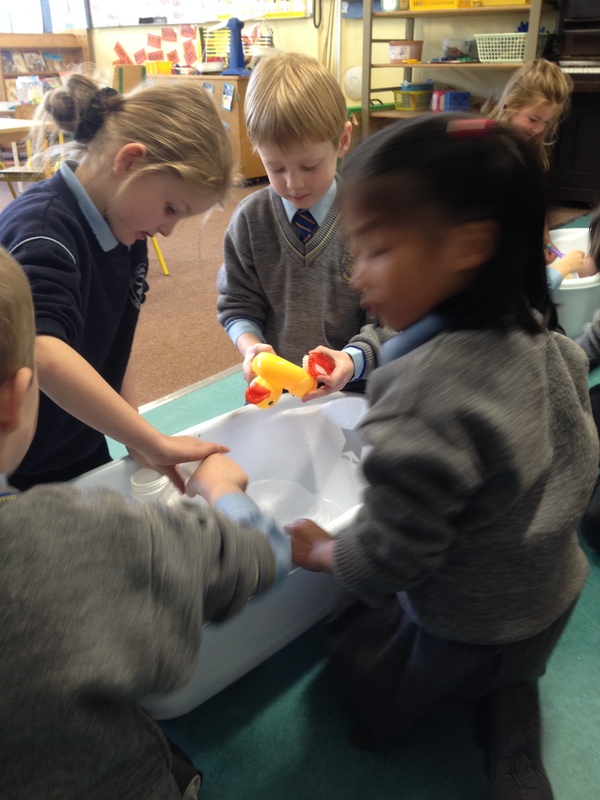 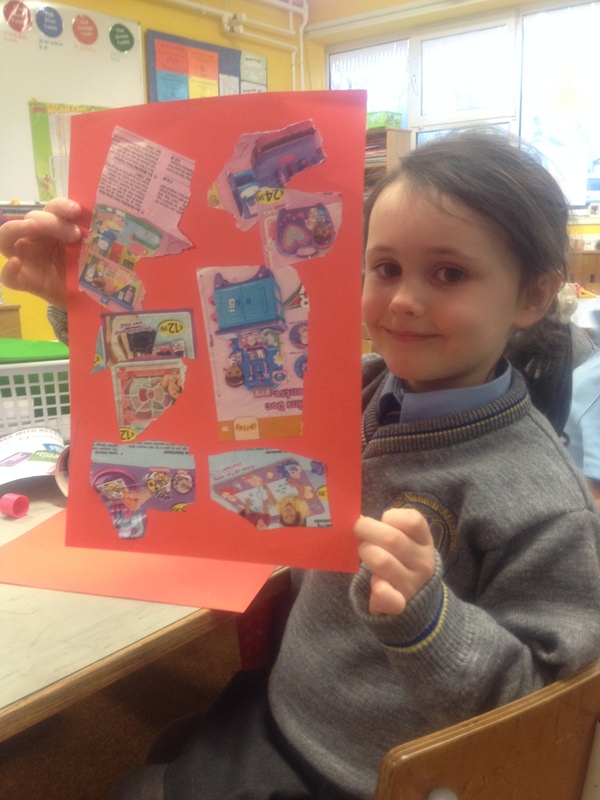 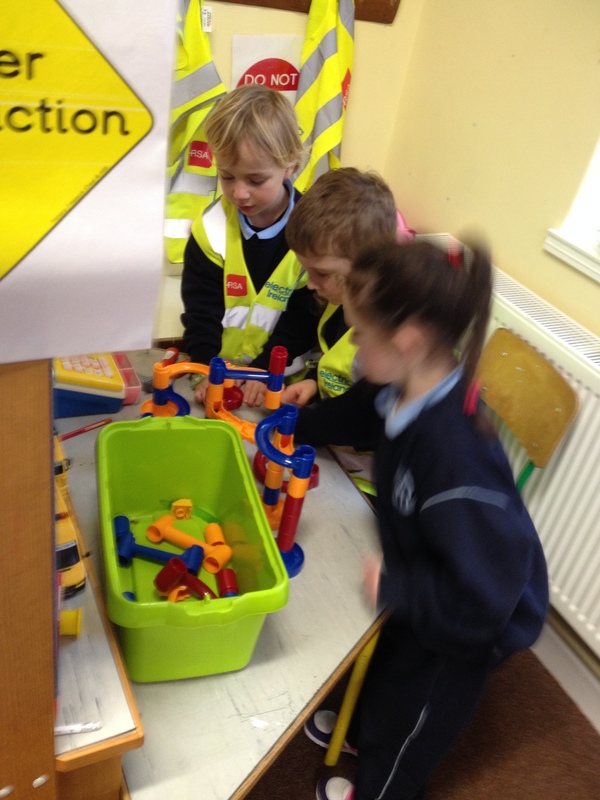 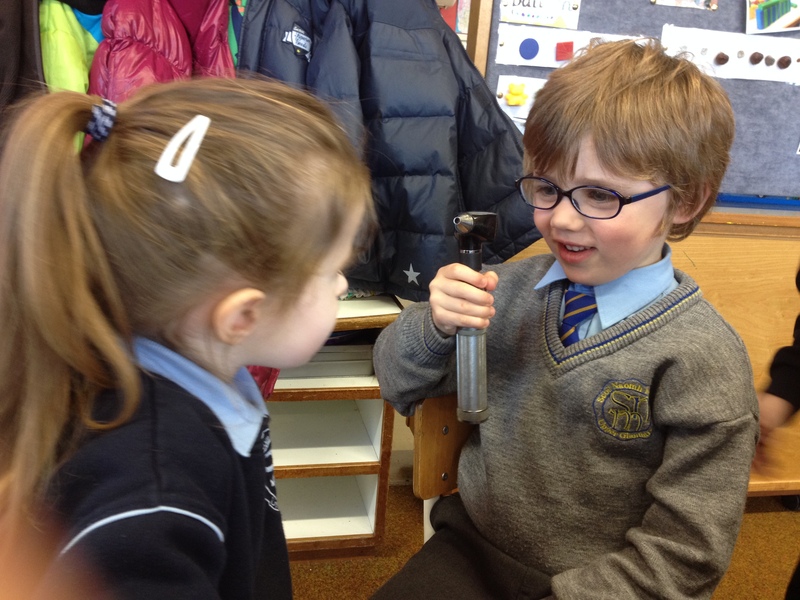 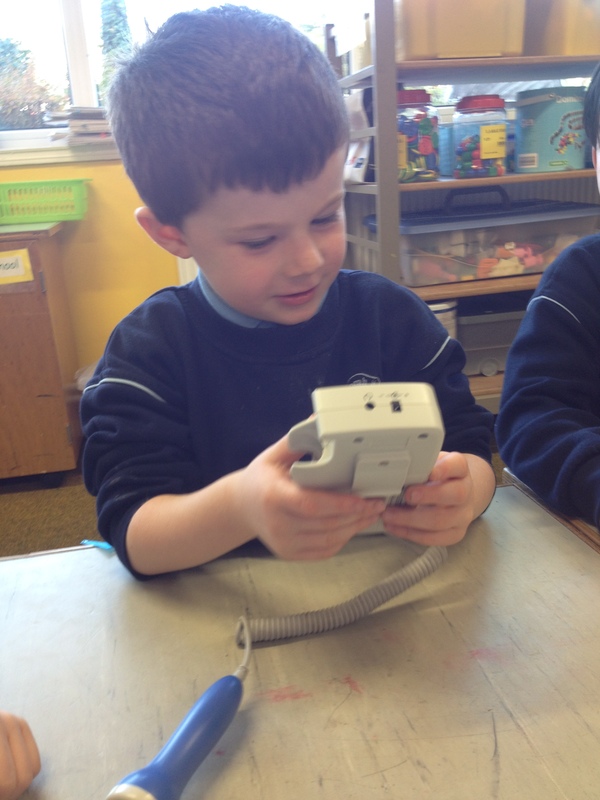 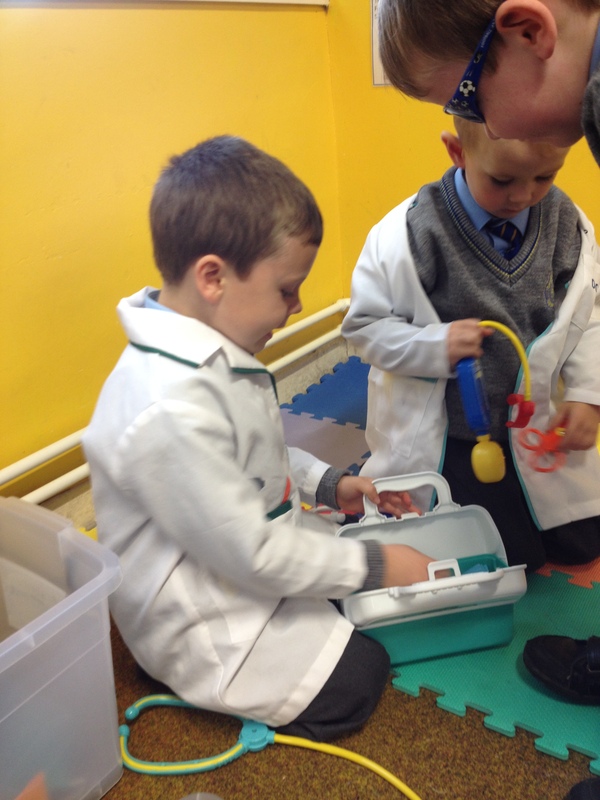 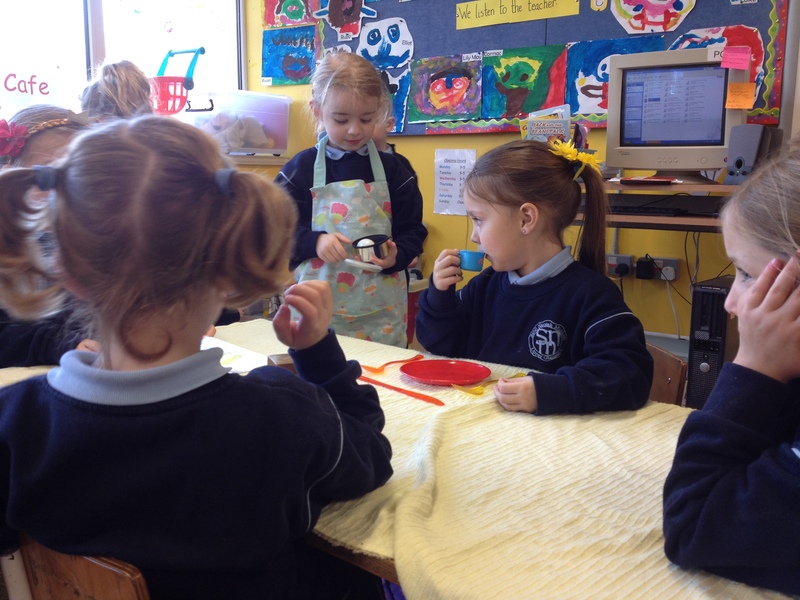 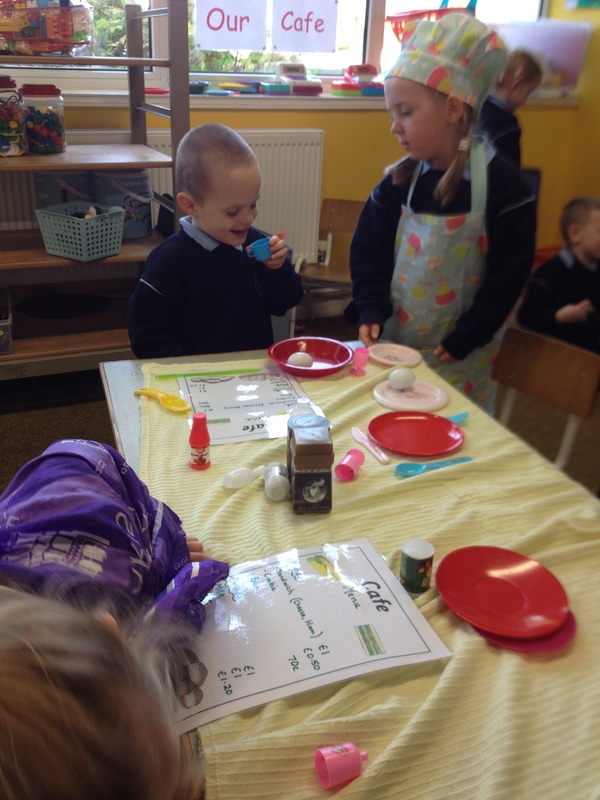 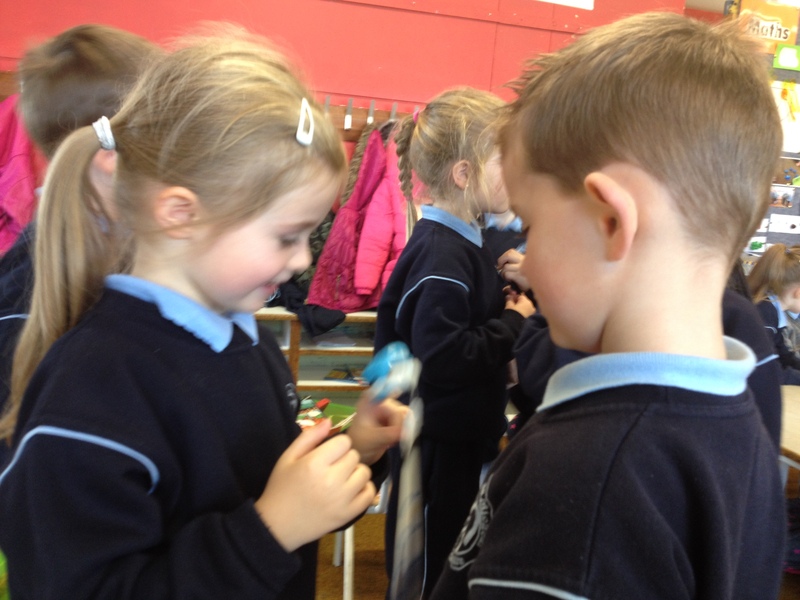 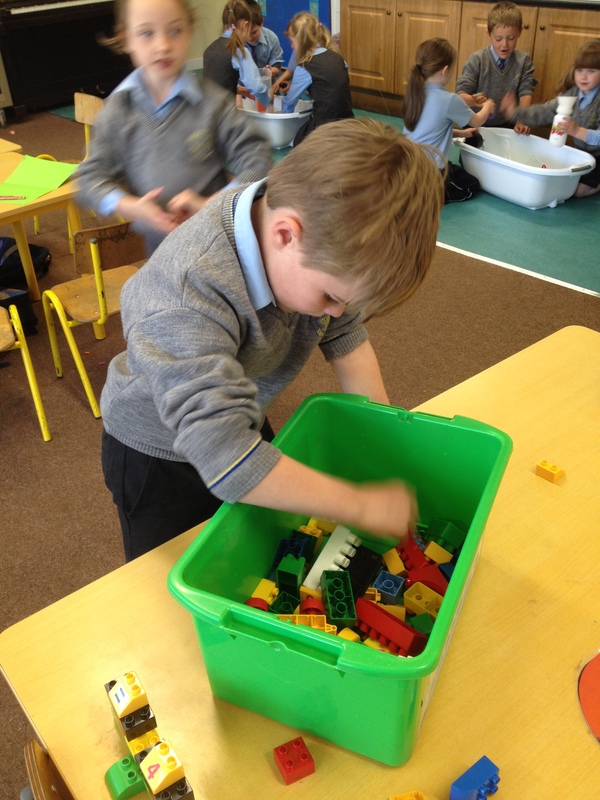 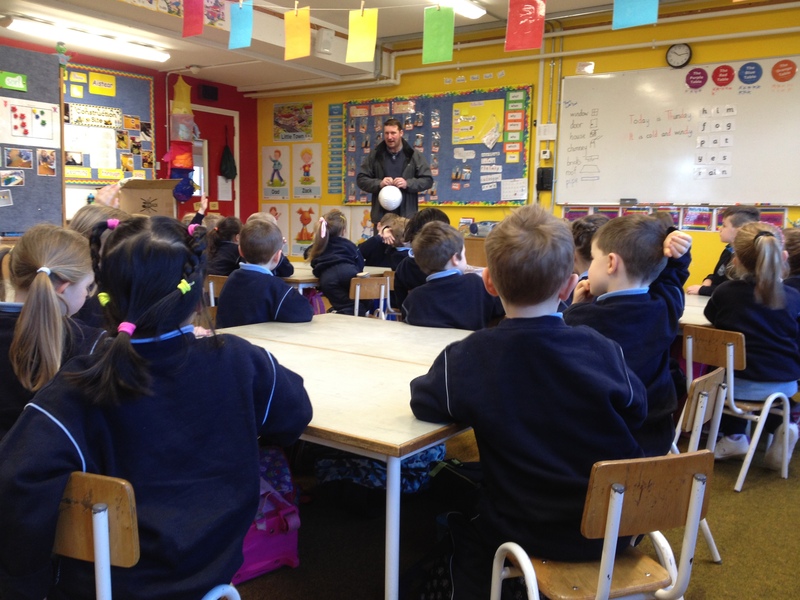 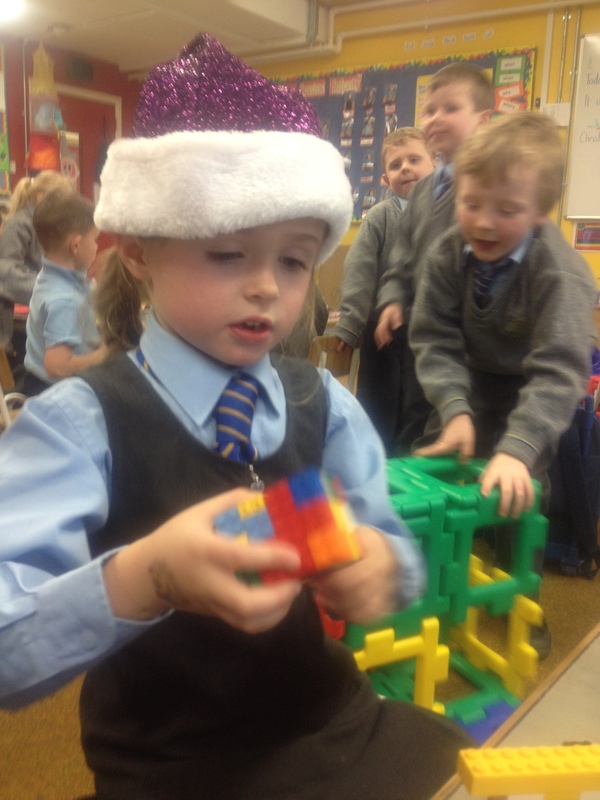 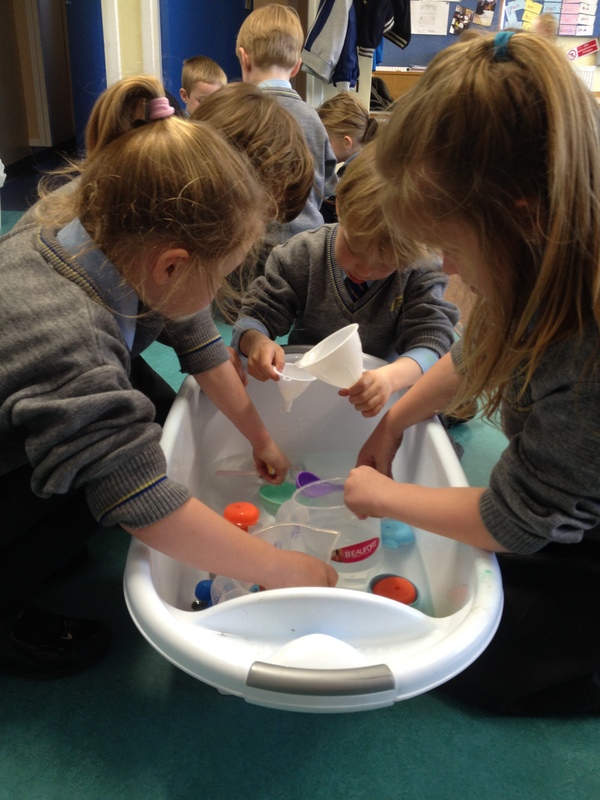 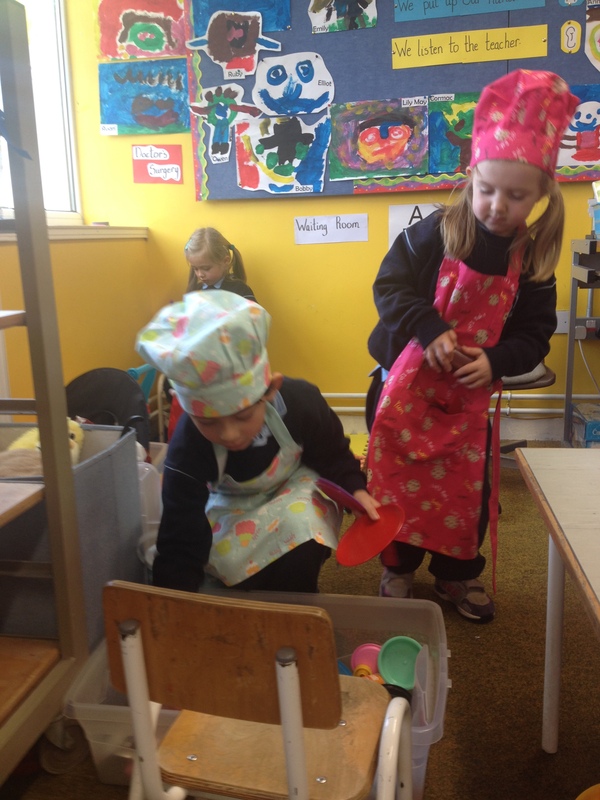 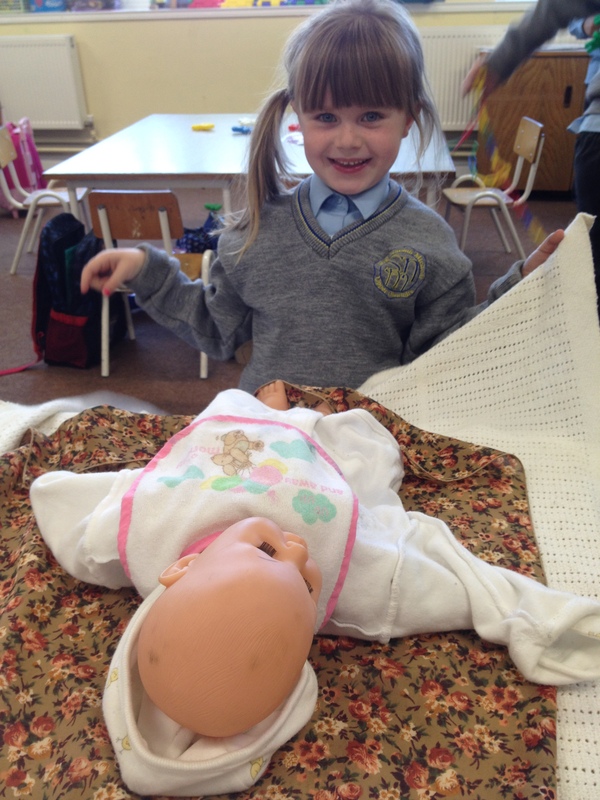 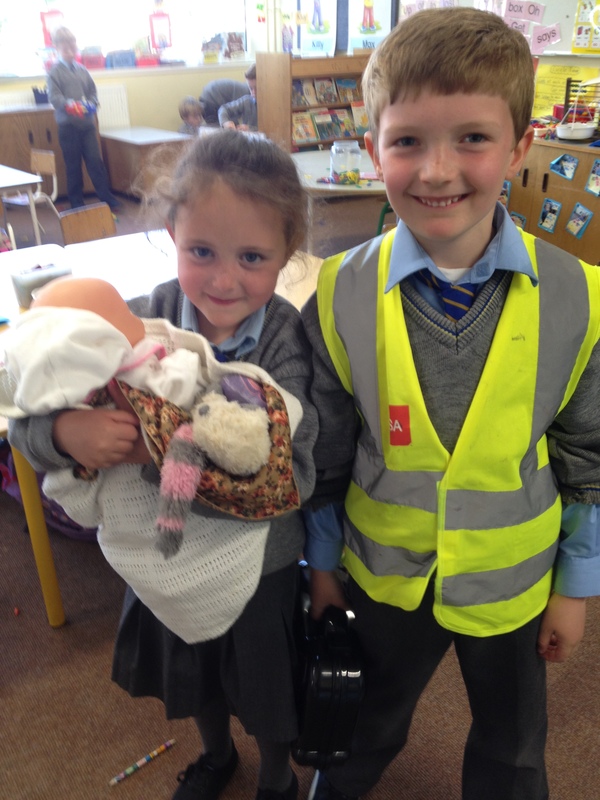 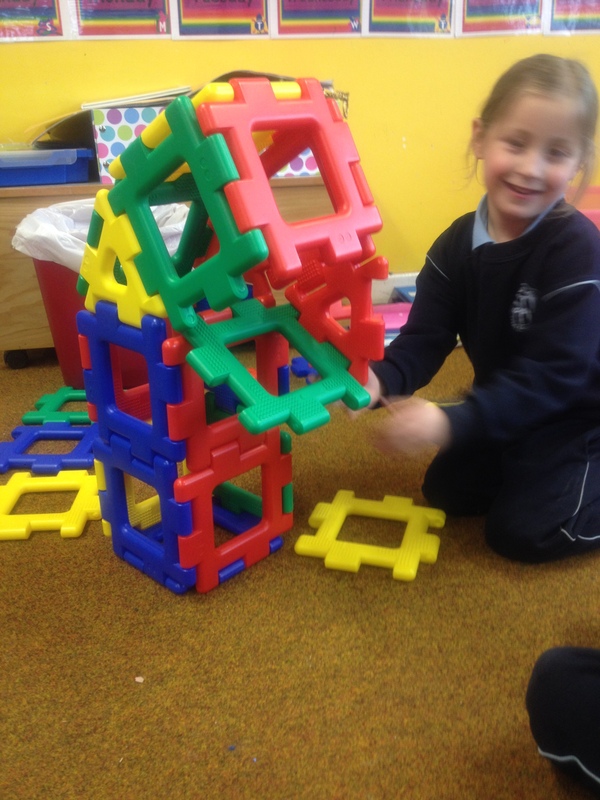 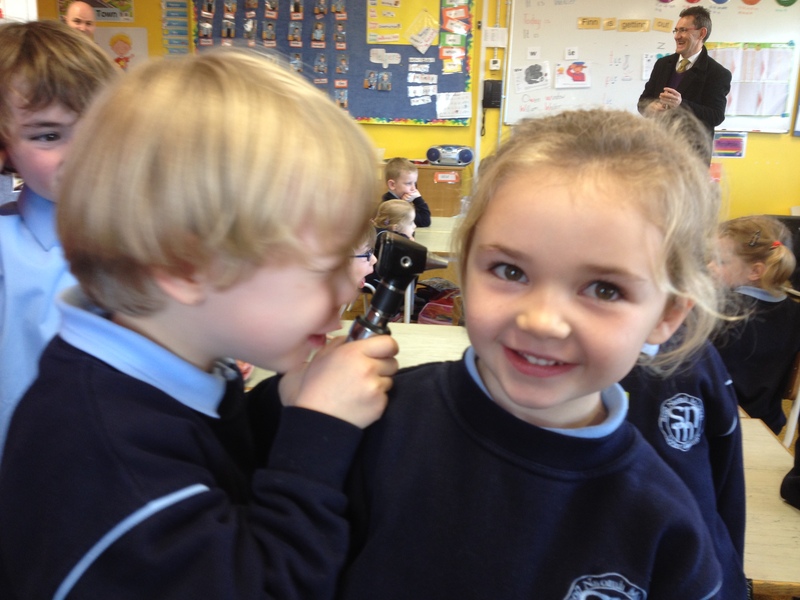 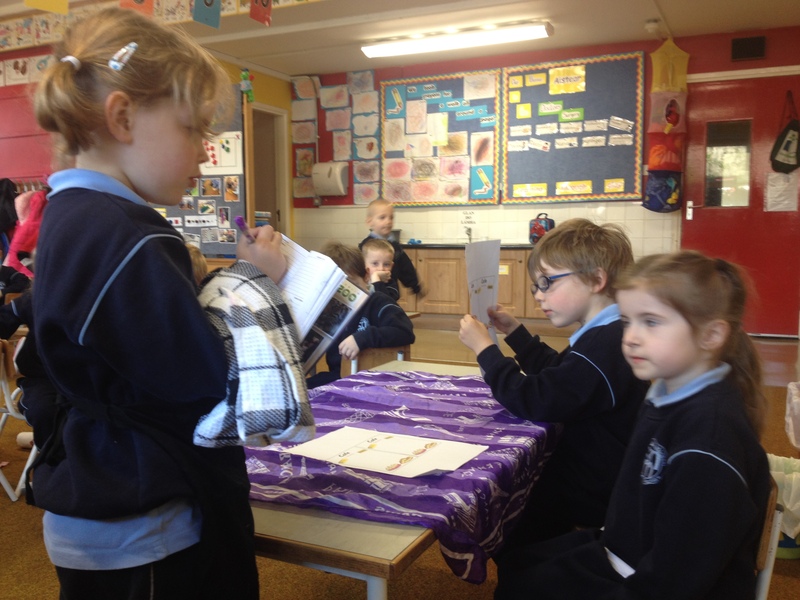 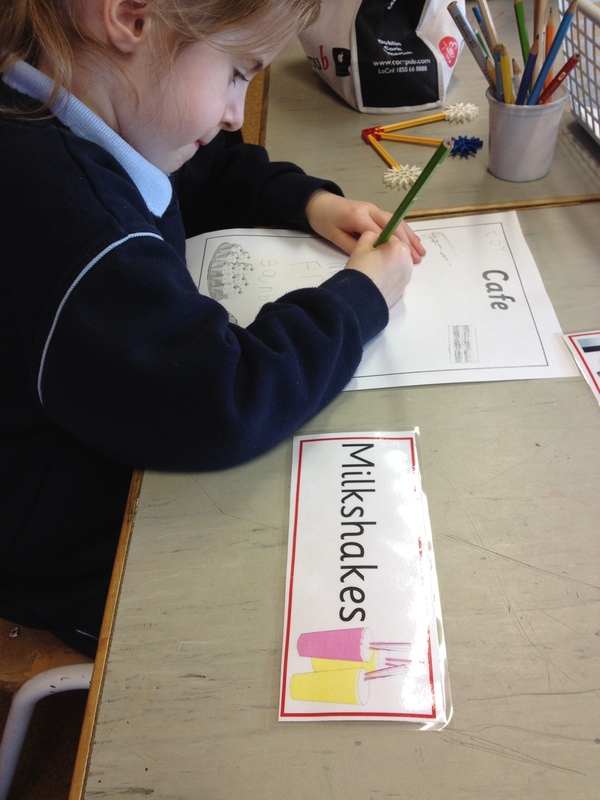 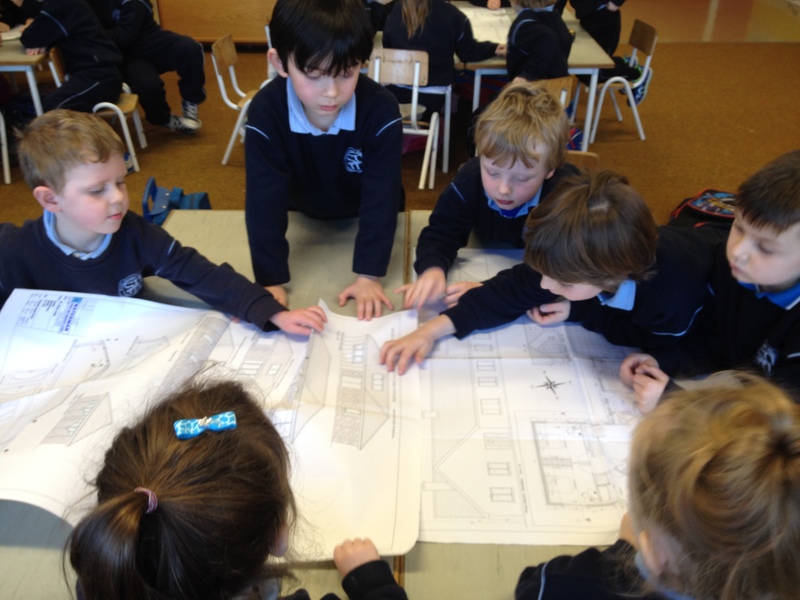 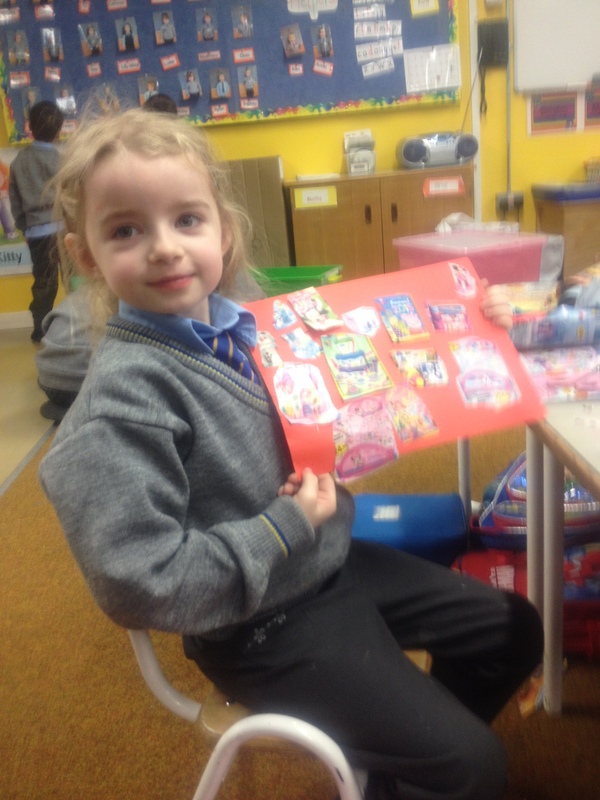 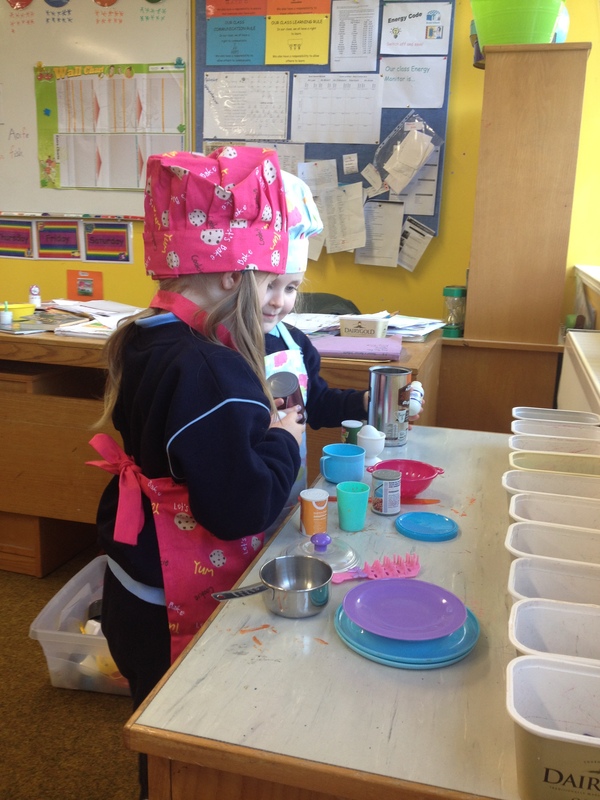 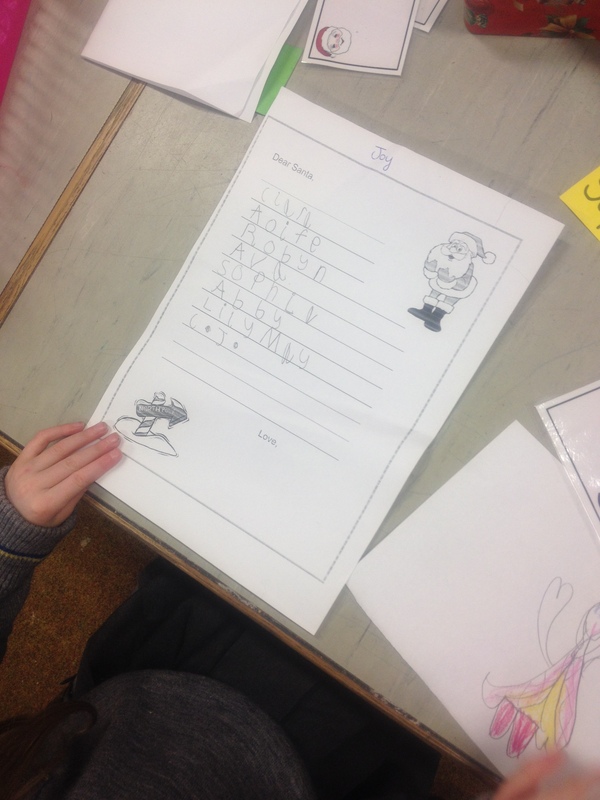 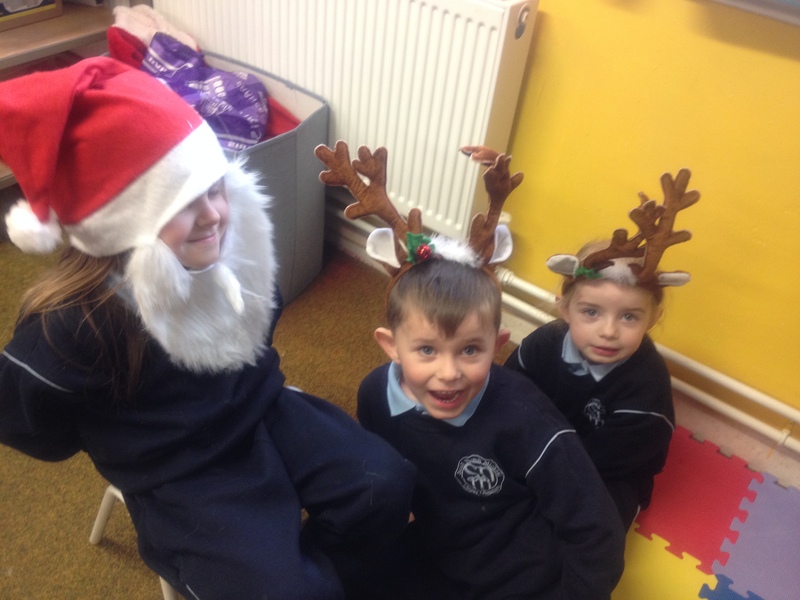 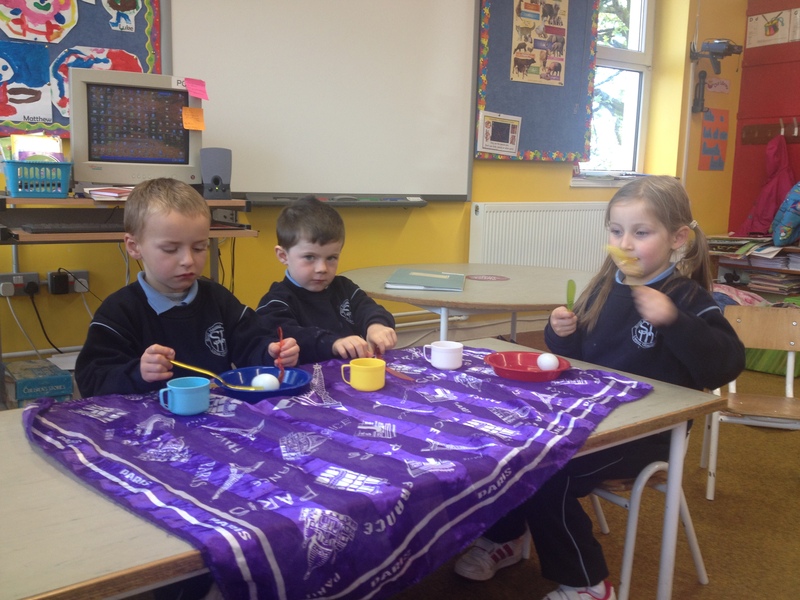 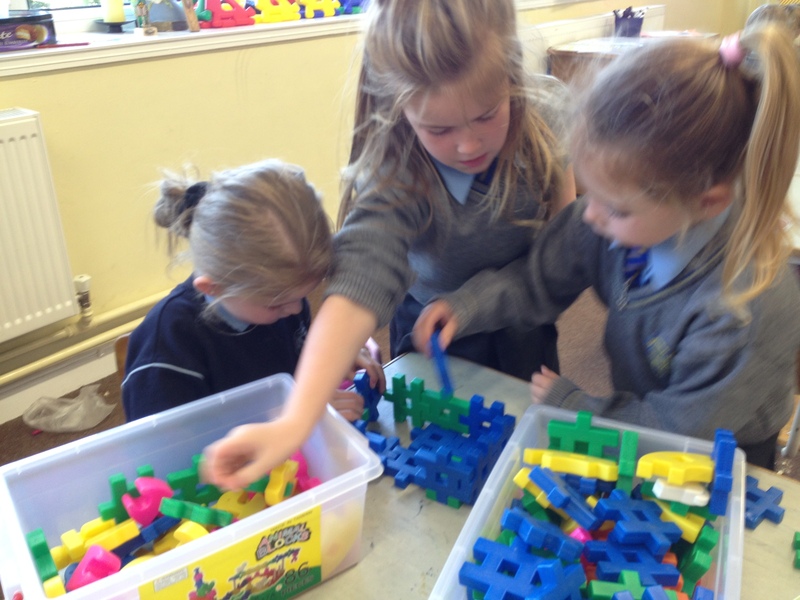 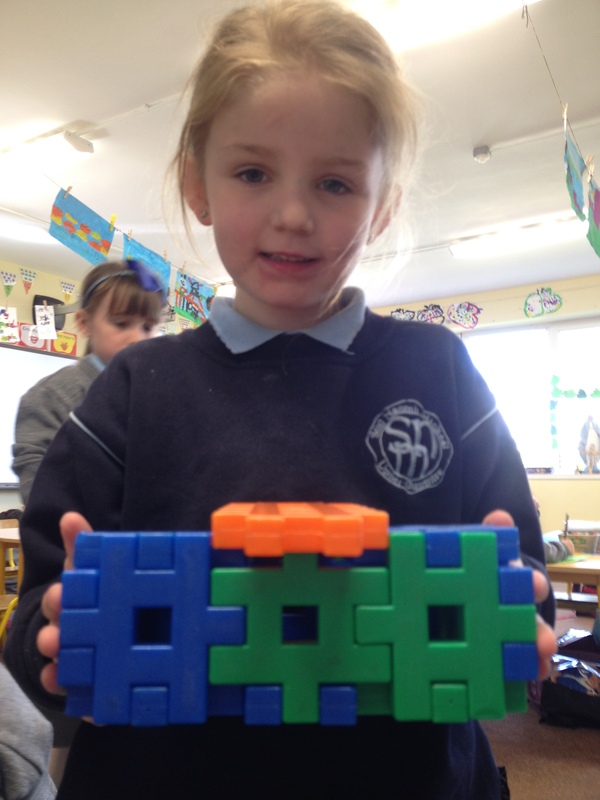 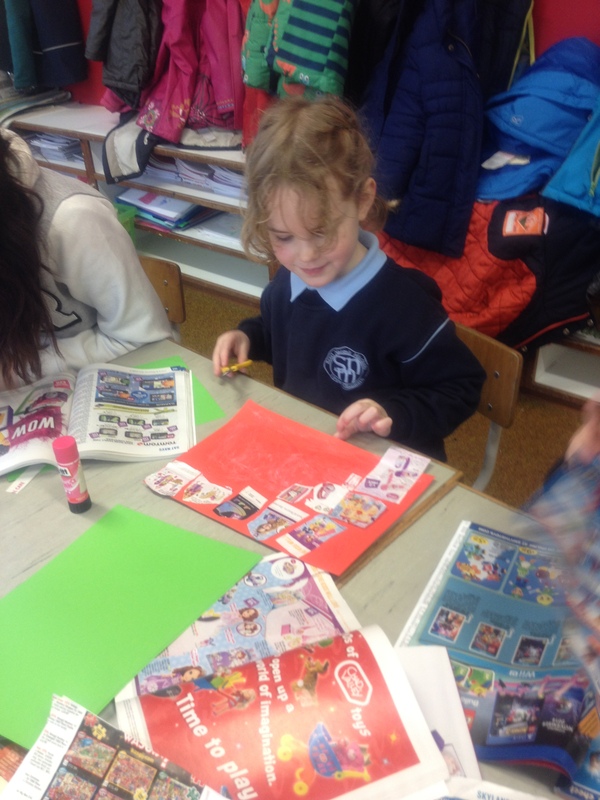 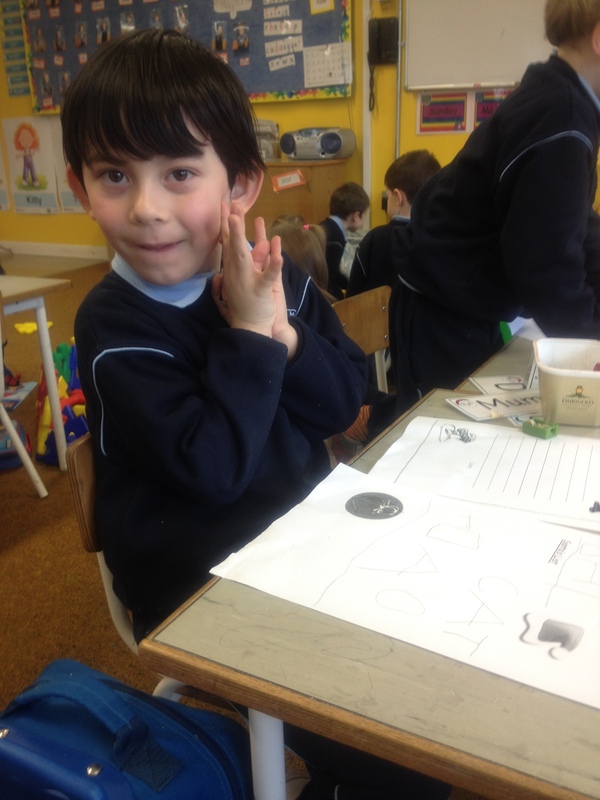 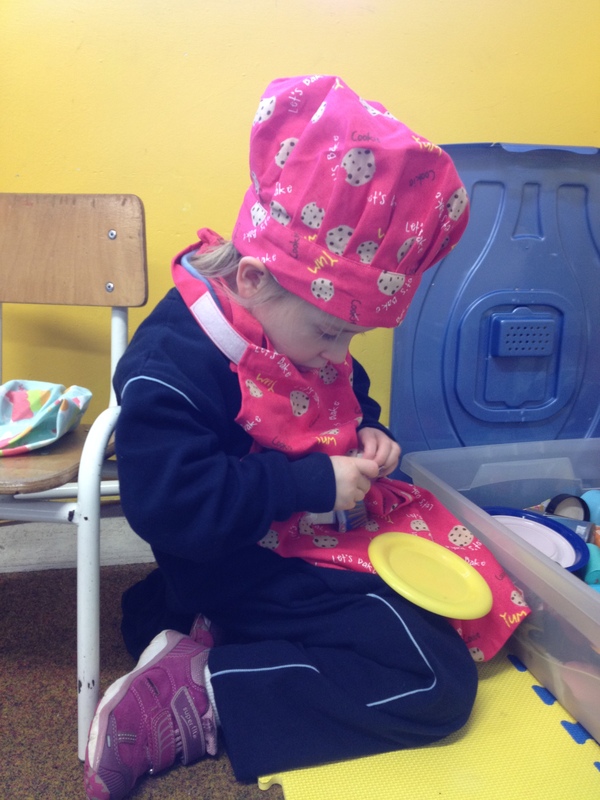 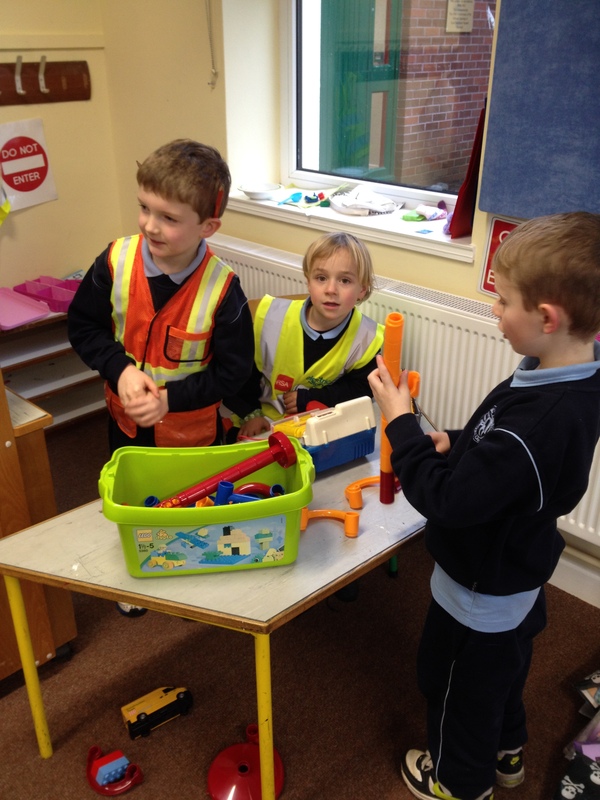 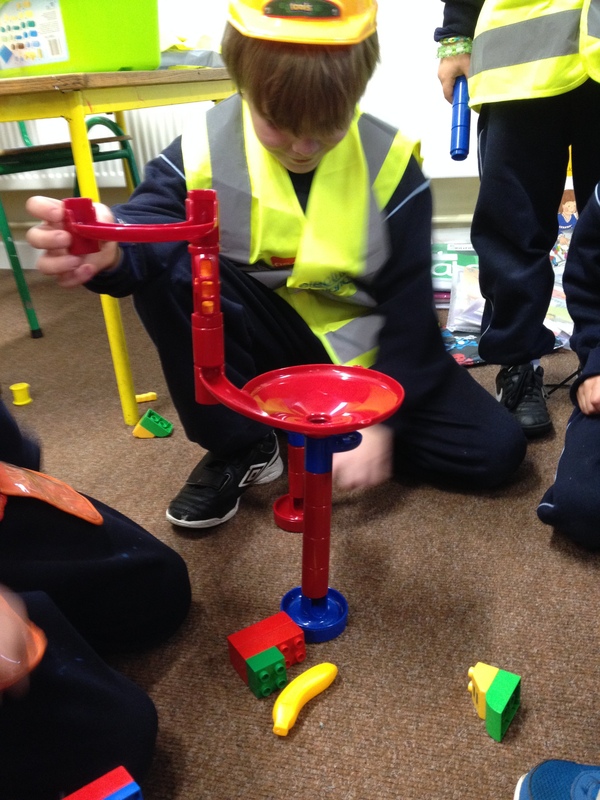 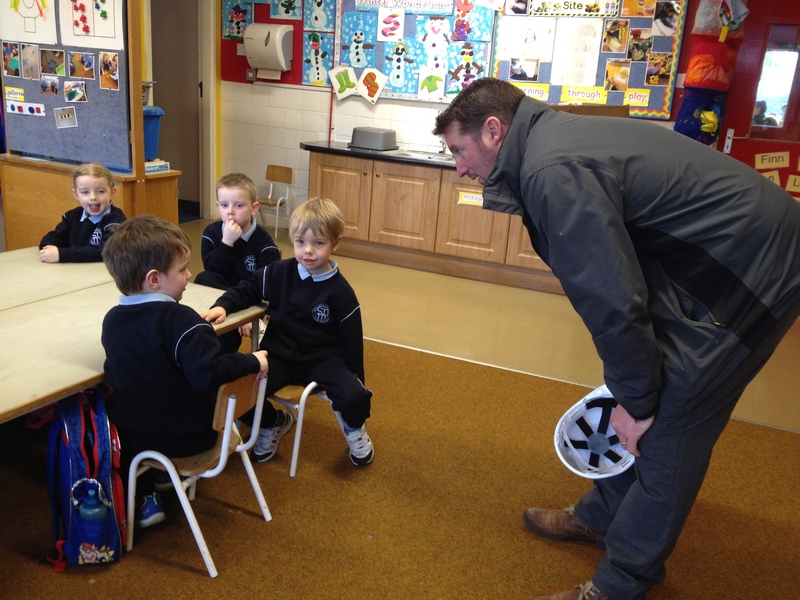 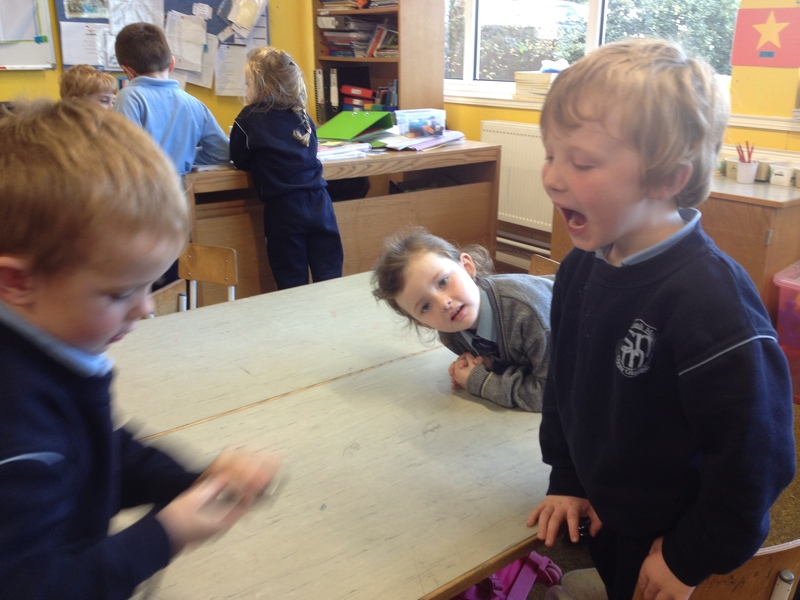 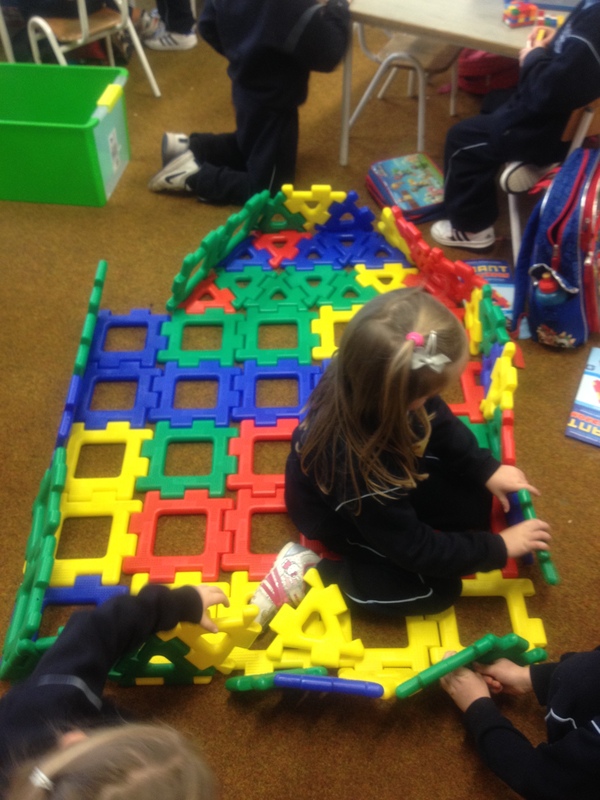 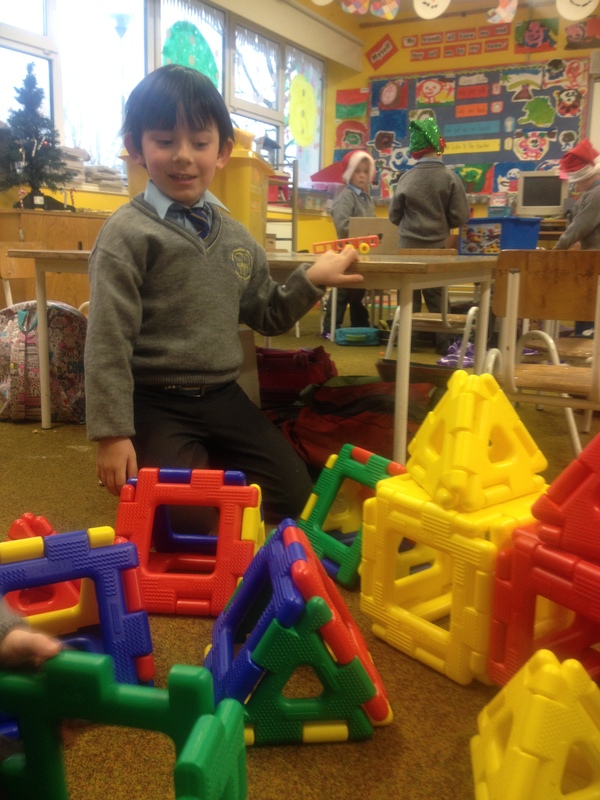 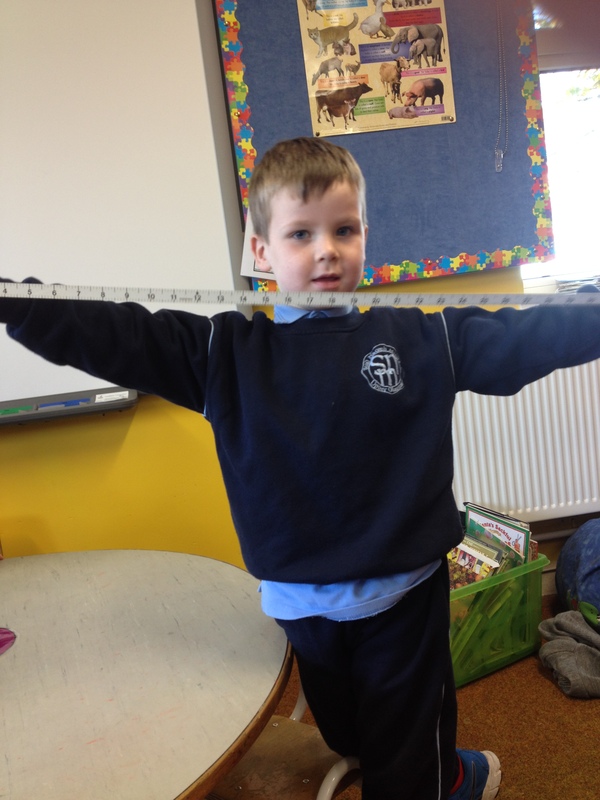 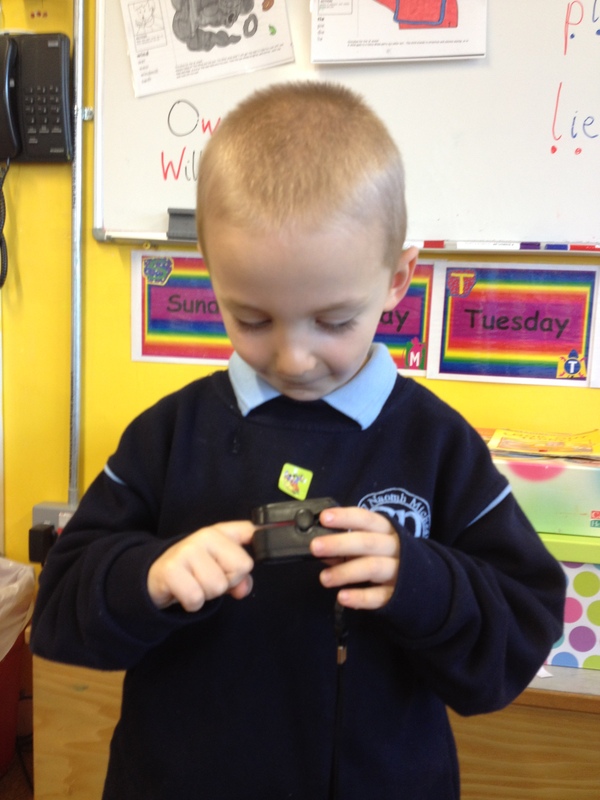 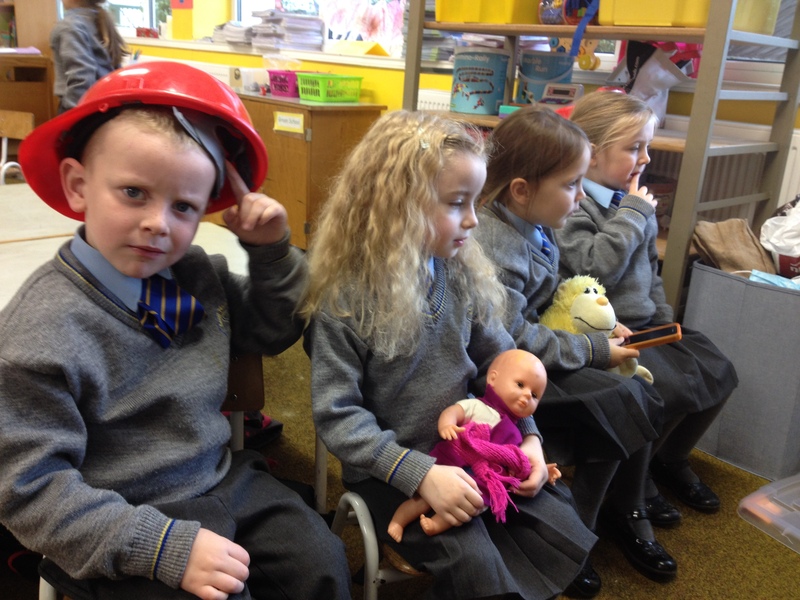 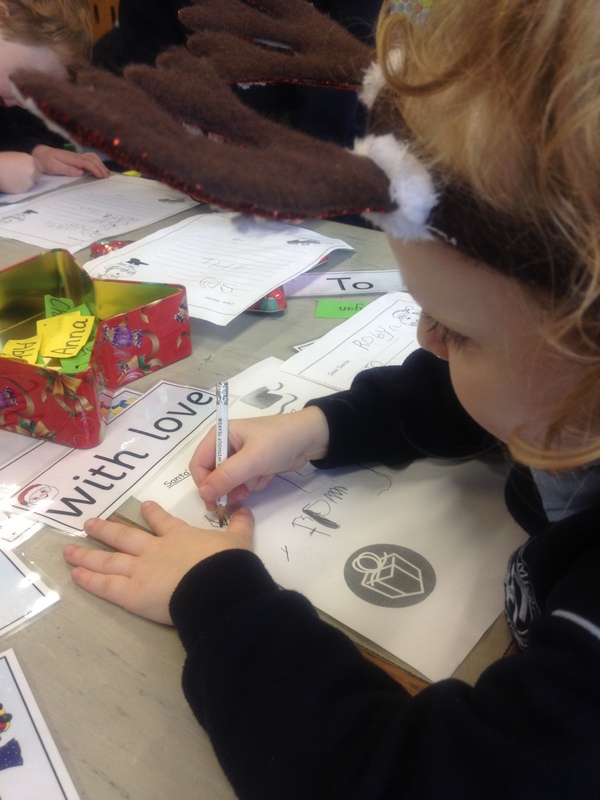 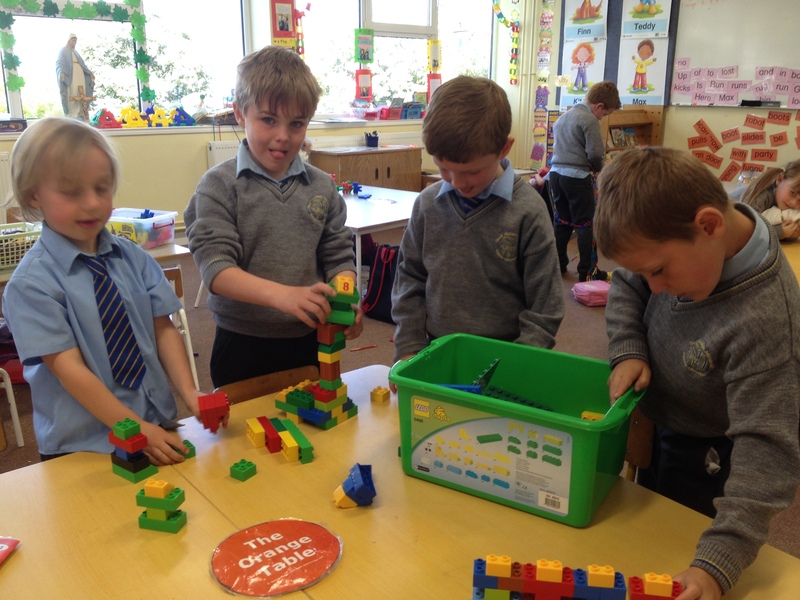 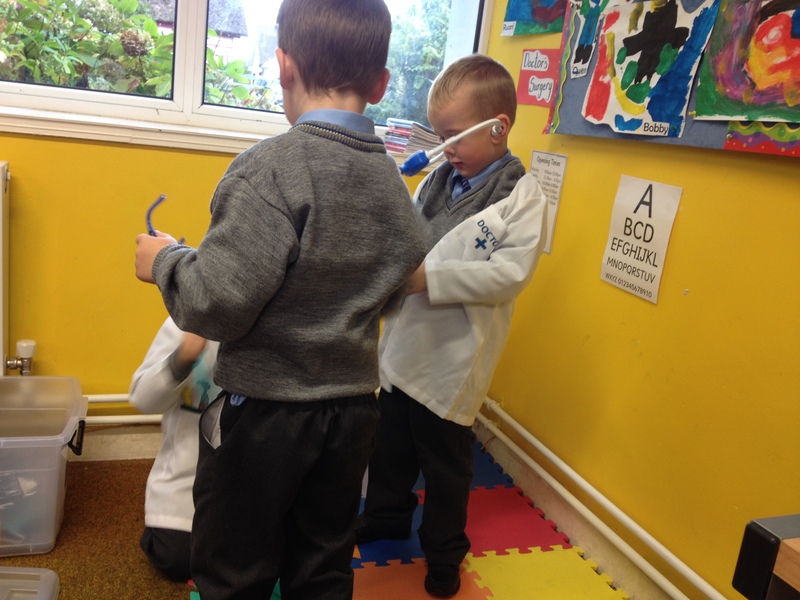 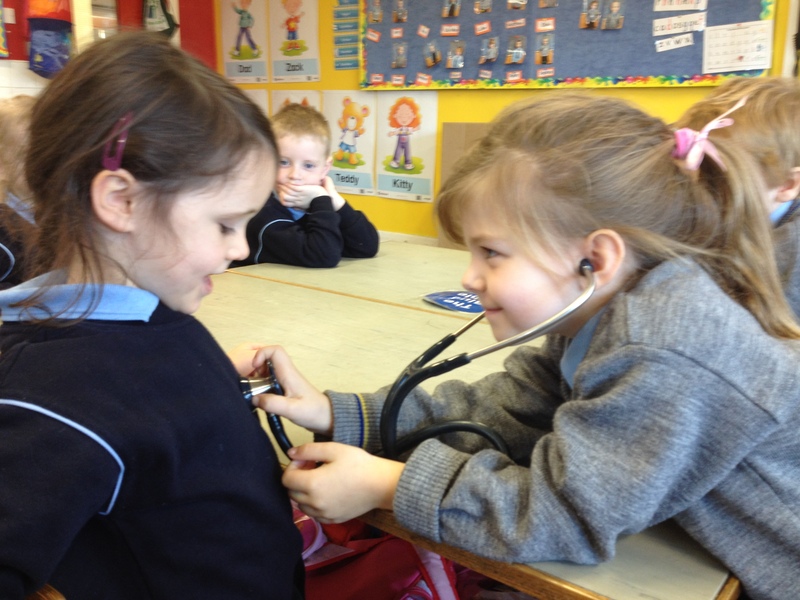 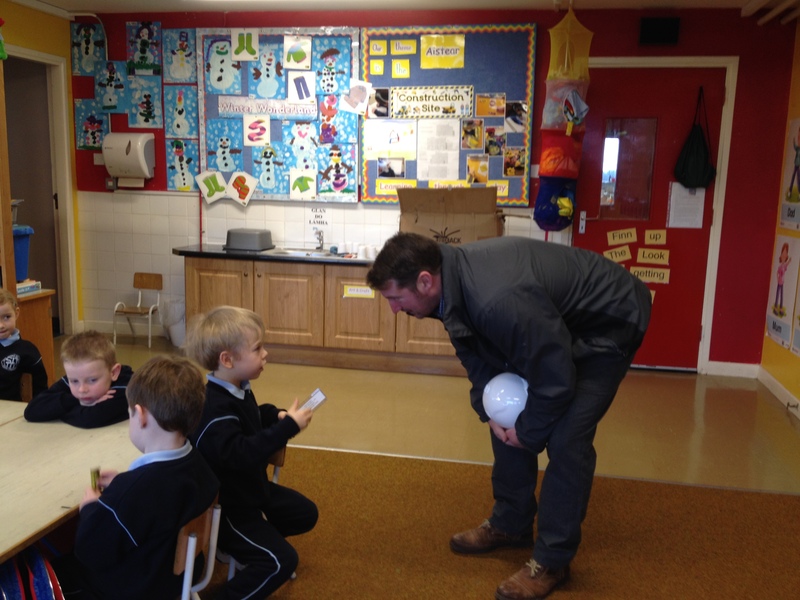 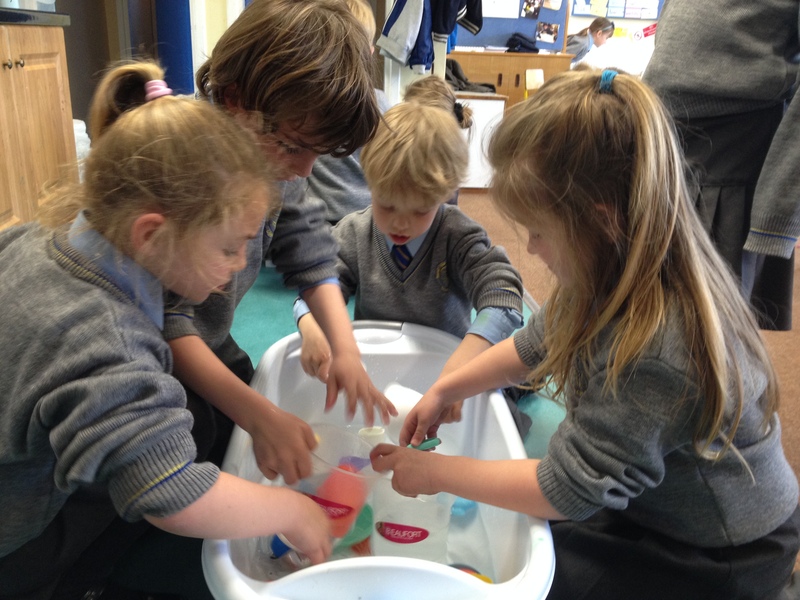 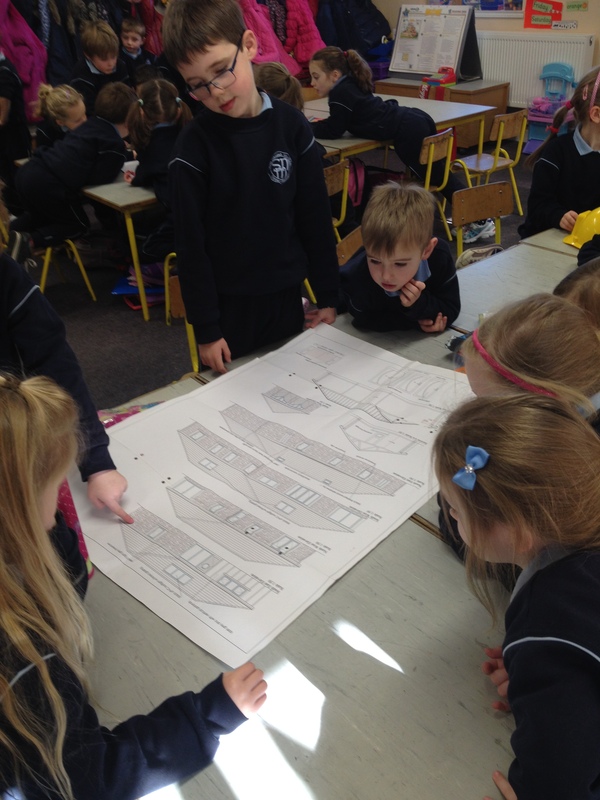 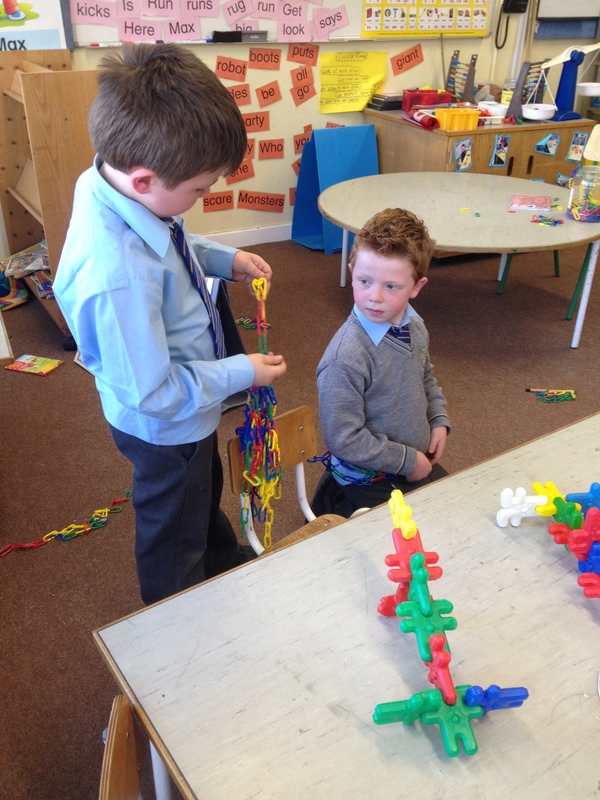 During March and April, Junior and Senior Infants have been enjoying Water Play and Junk Art as part of their Aistear programme. 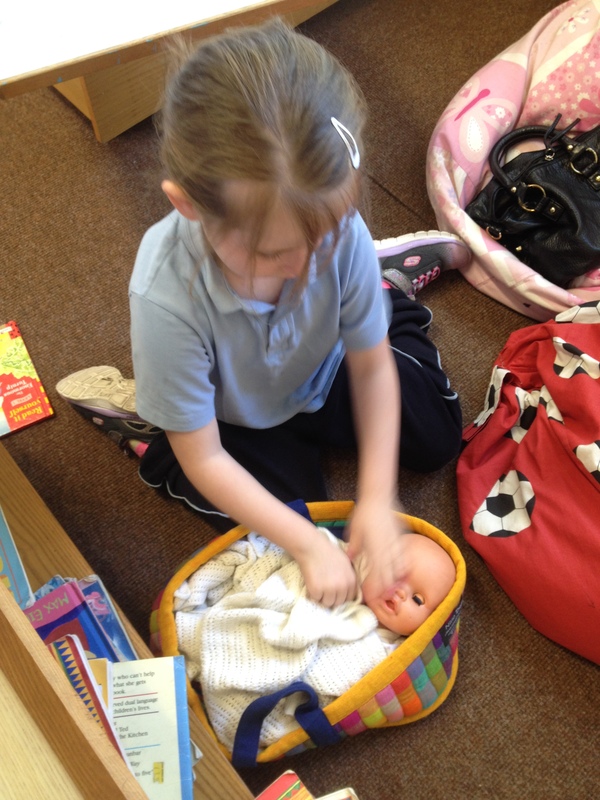 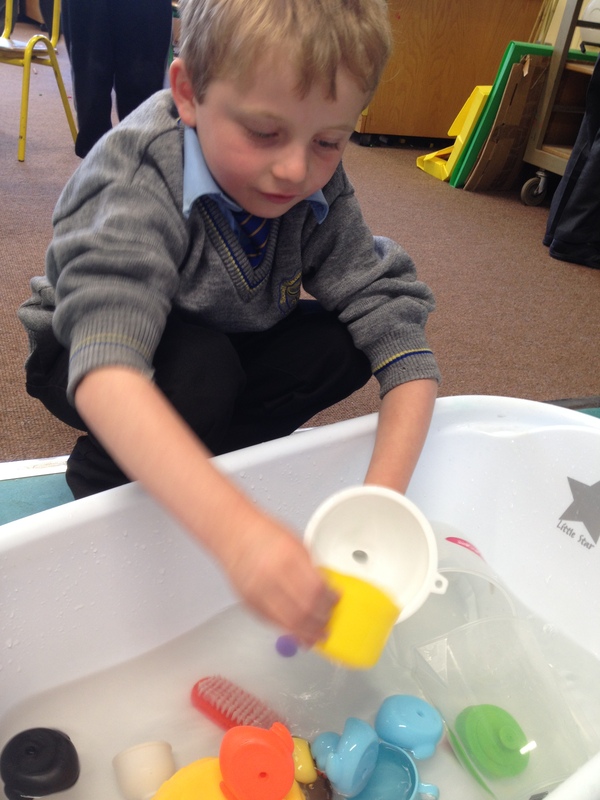 Water Play gives our children a chance to work independently, enhance confidence and learn how to take turns and co-operate. 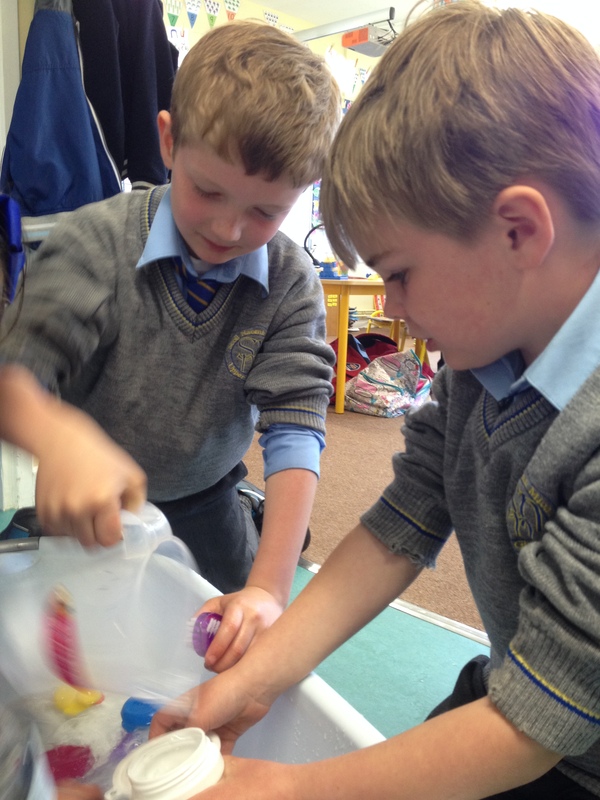 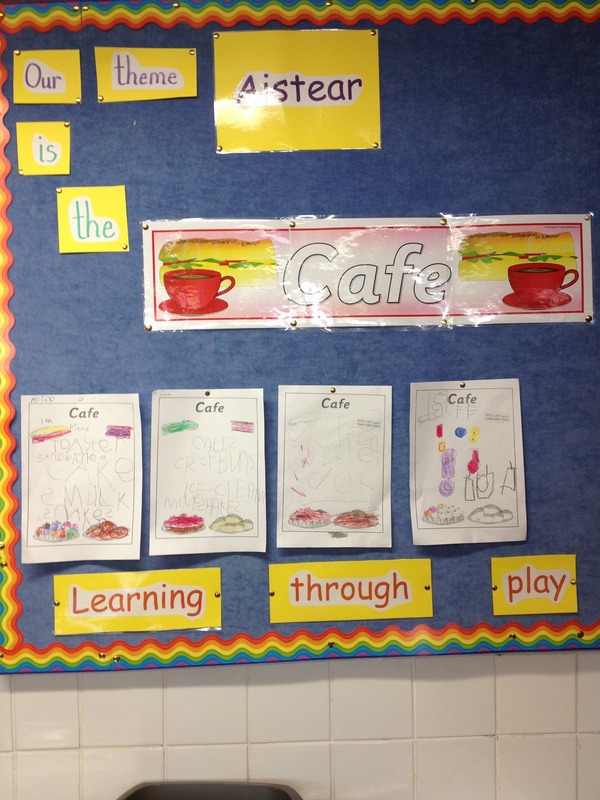 Some of the objectives from the Science curriculum are met during this time (Strand Unit: Materials and Change). 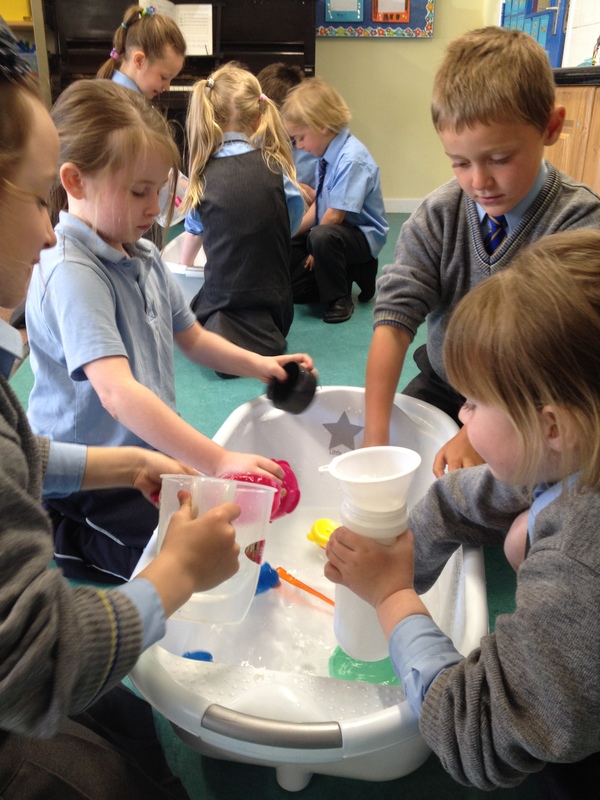 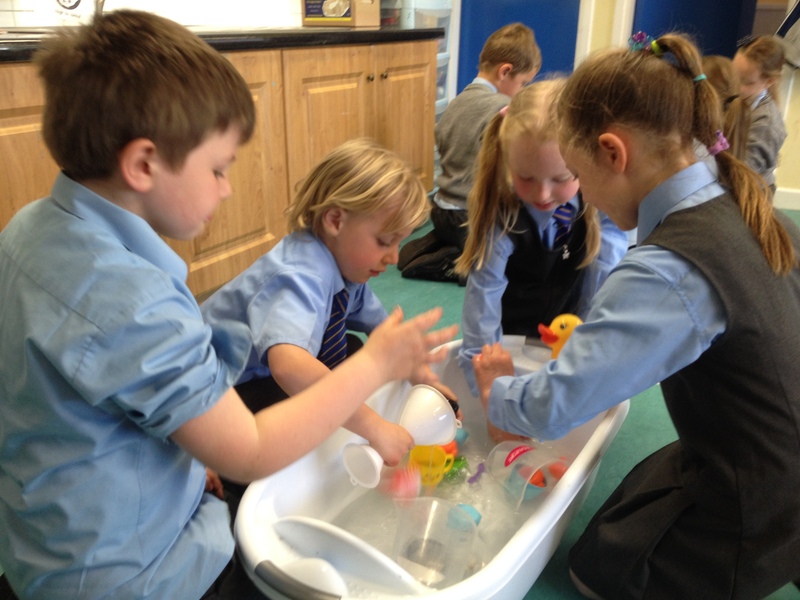 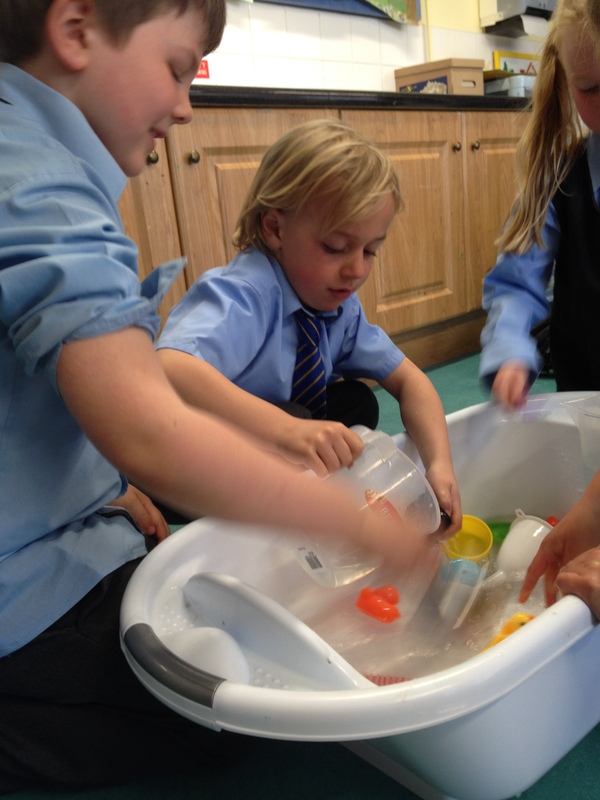 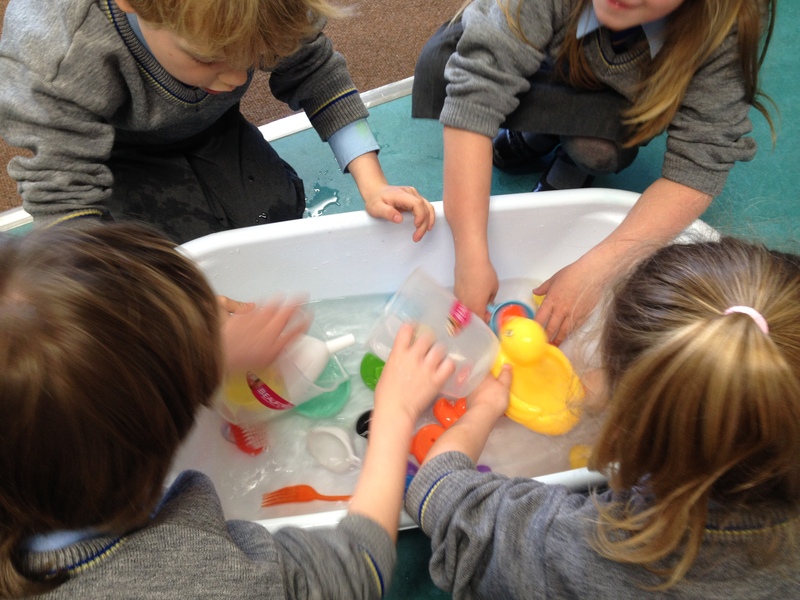 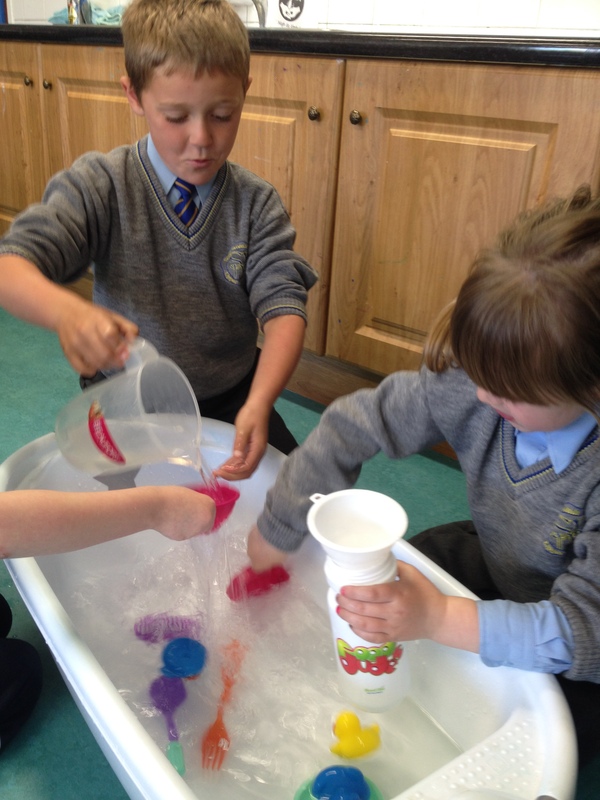 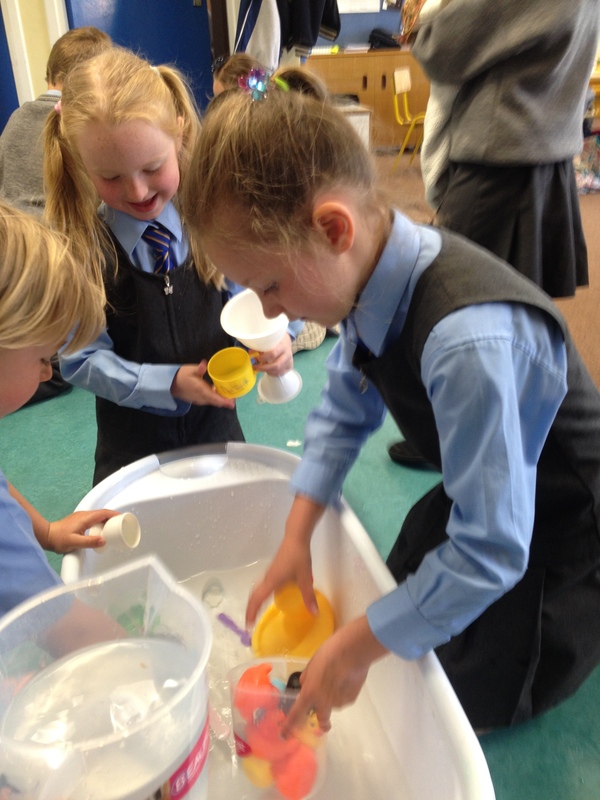 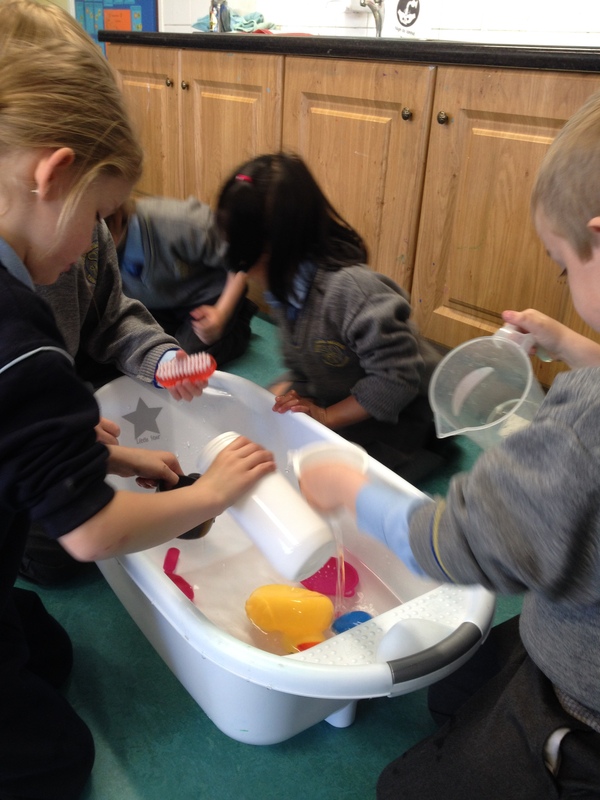 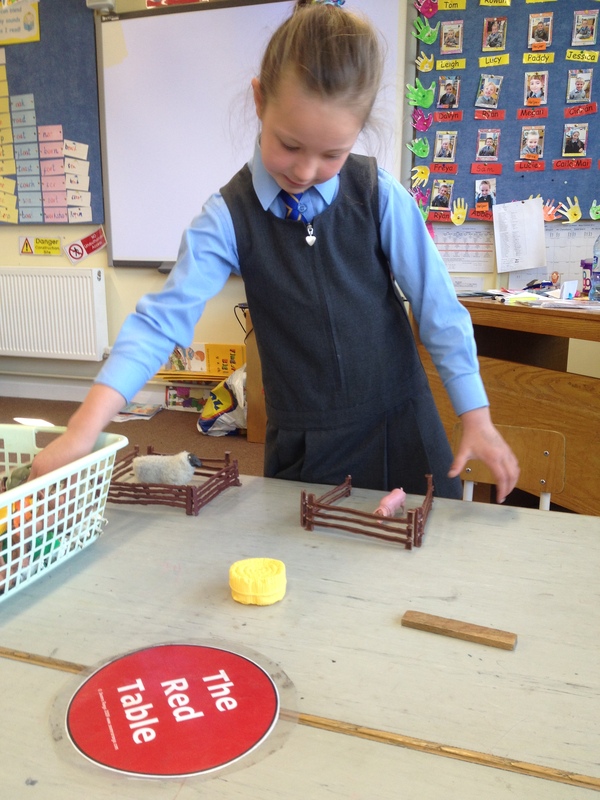 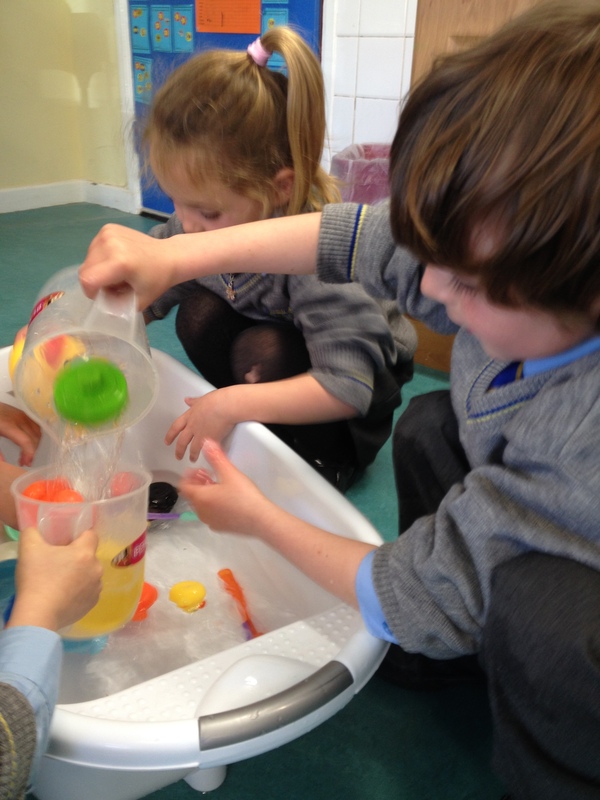 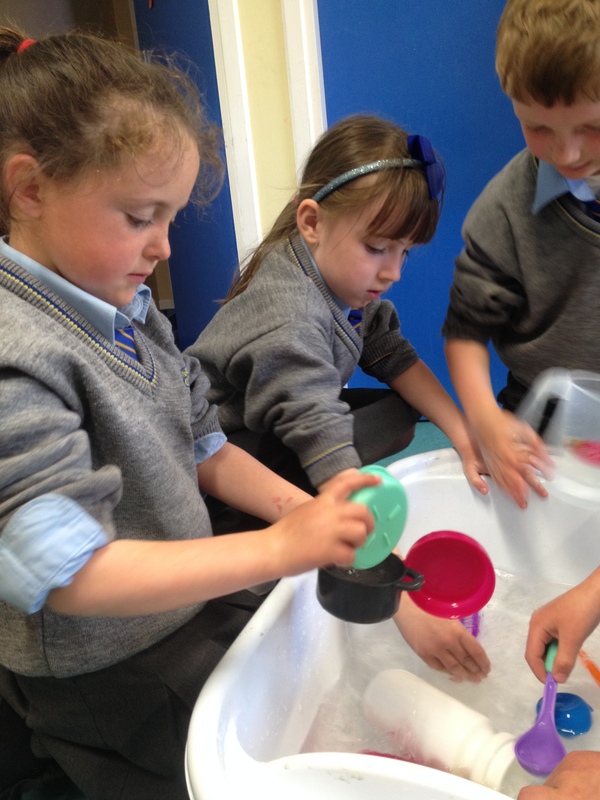 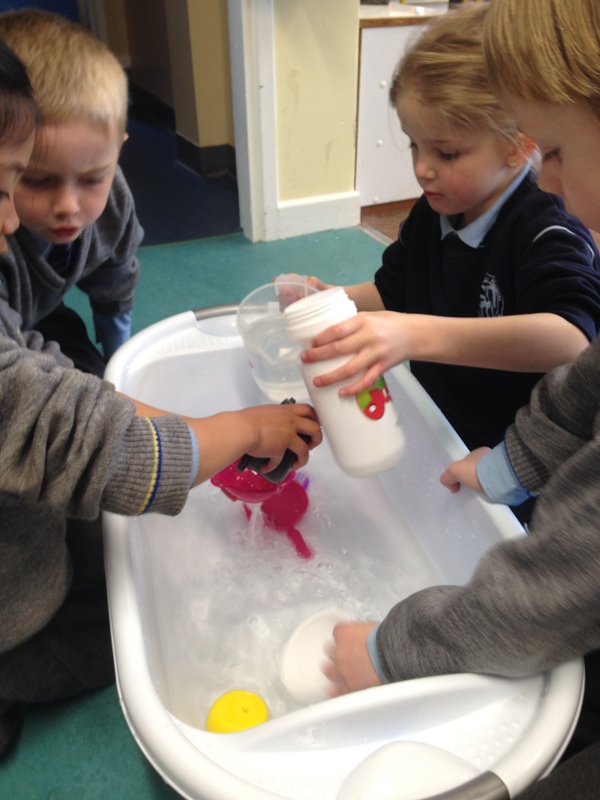 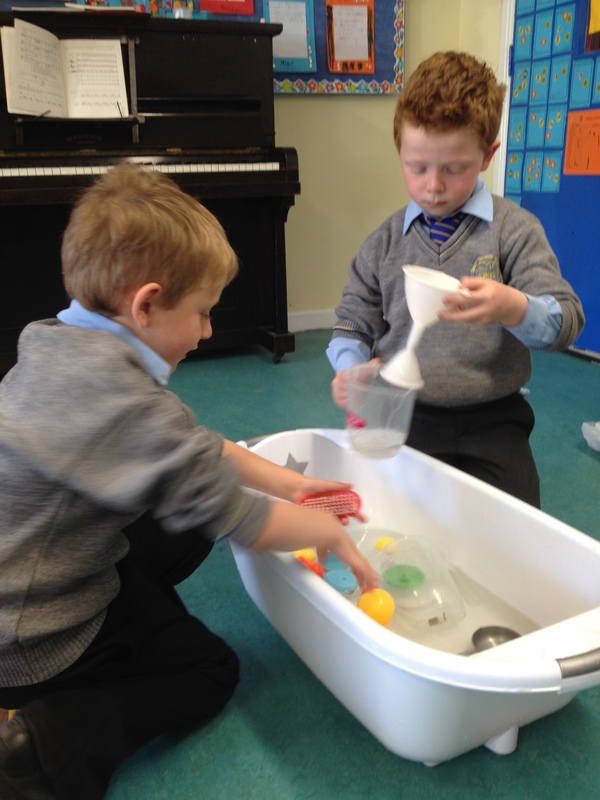 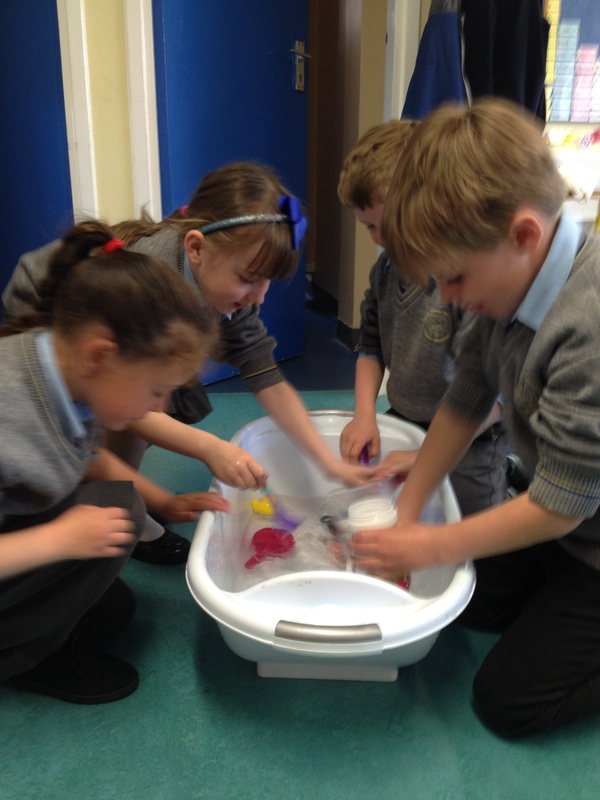 As we have recently been learning about ‘Capacity’ in Maths, water play allows the children to consolidate and further explore what they have learned.